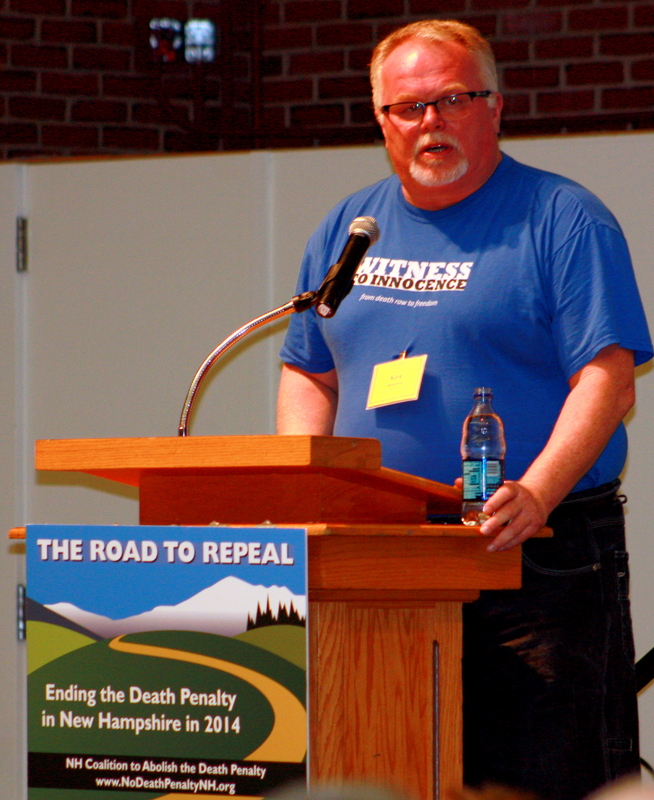 Watch Kirk Bloodsworth Presentation Here. 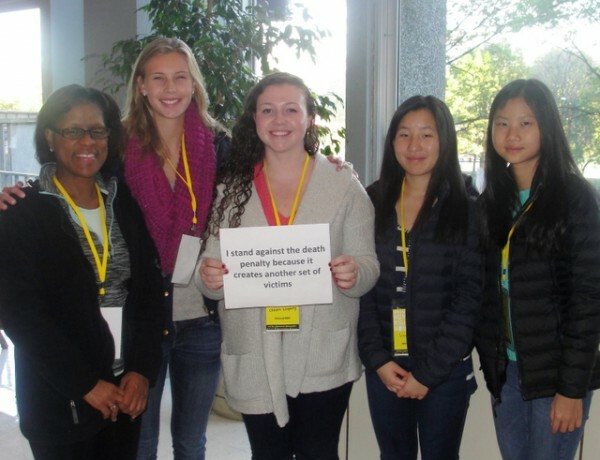 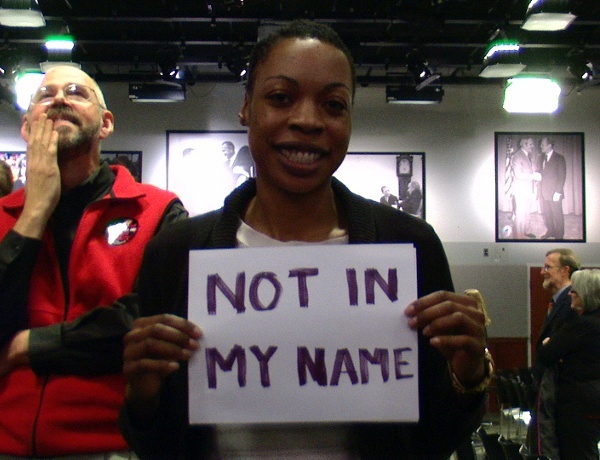 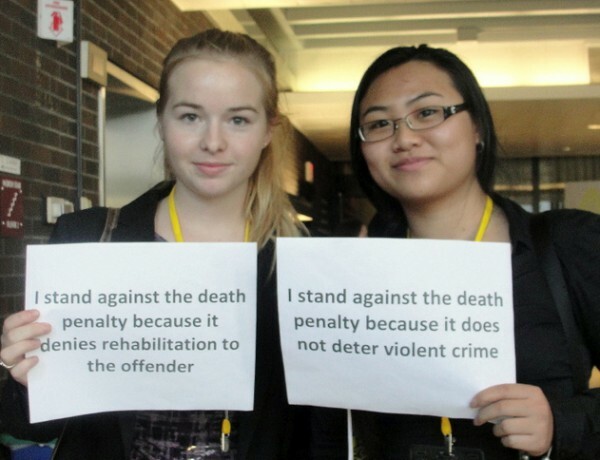 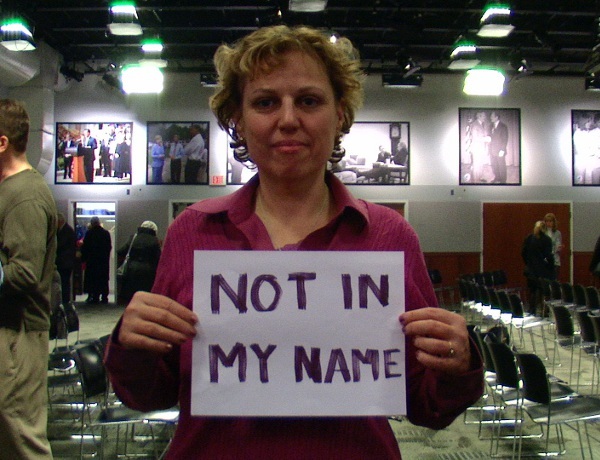 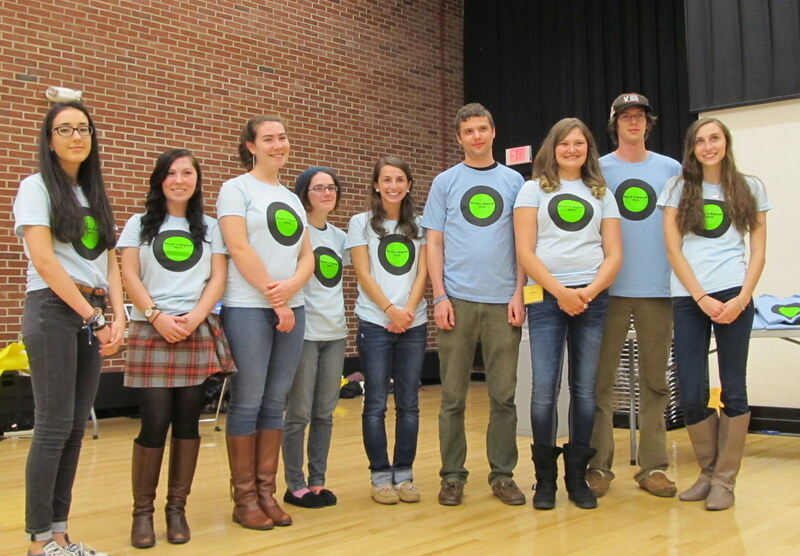 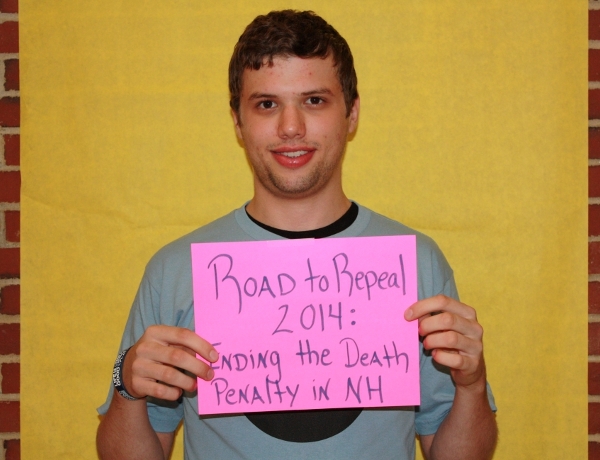 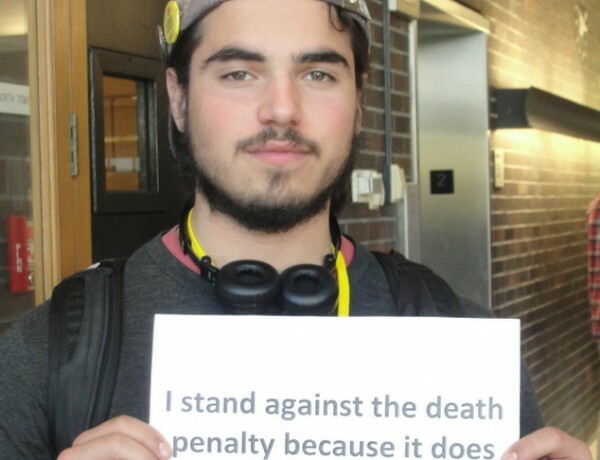 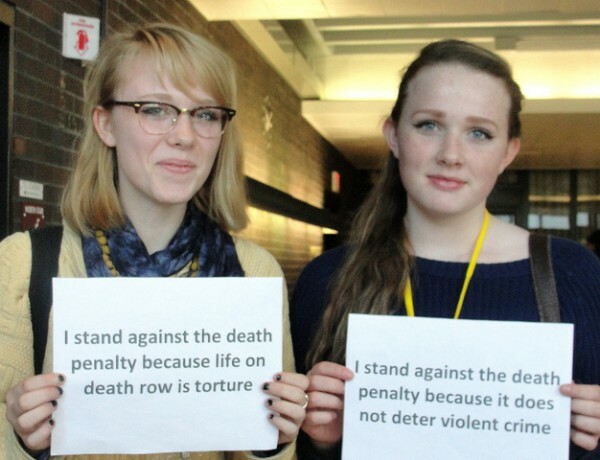 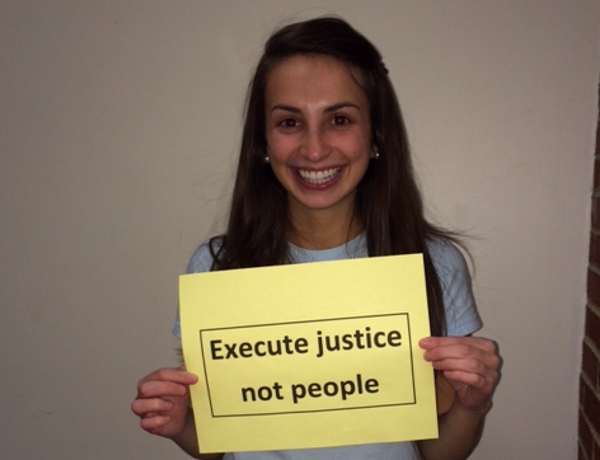 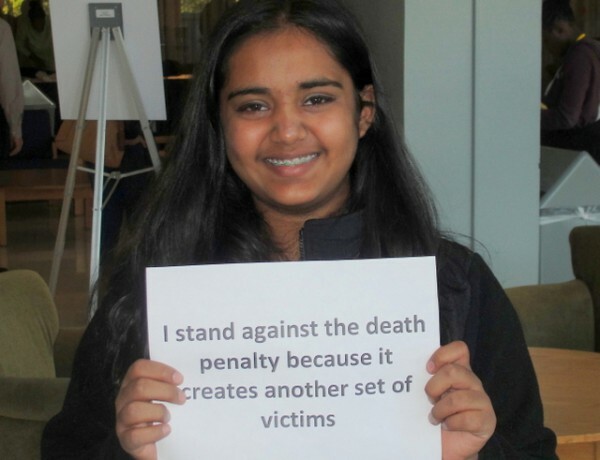 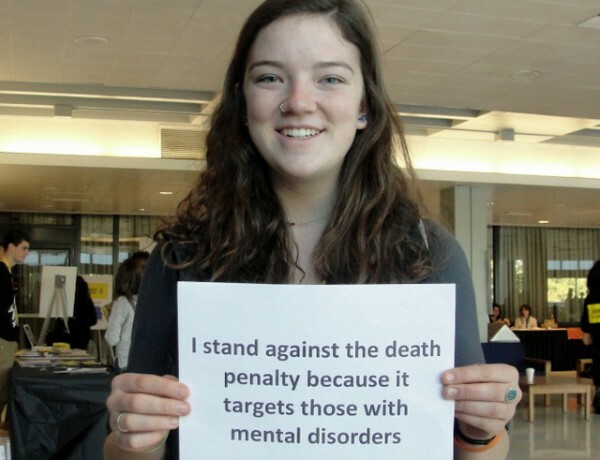 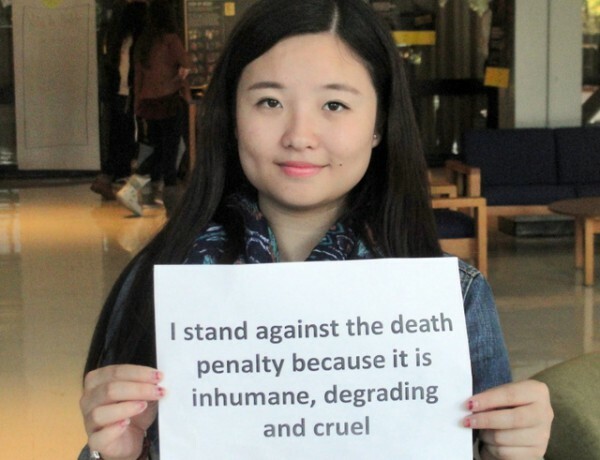 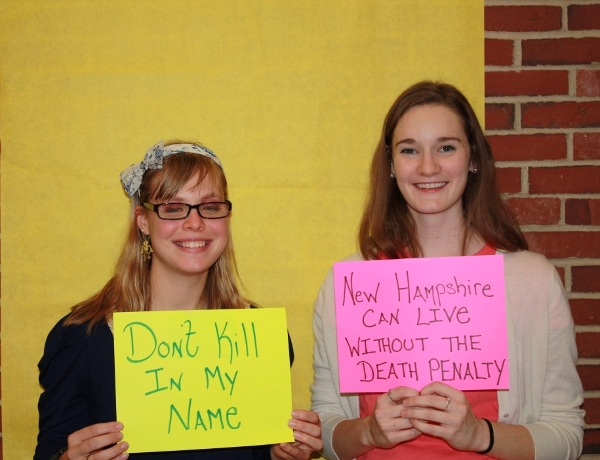 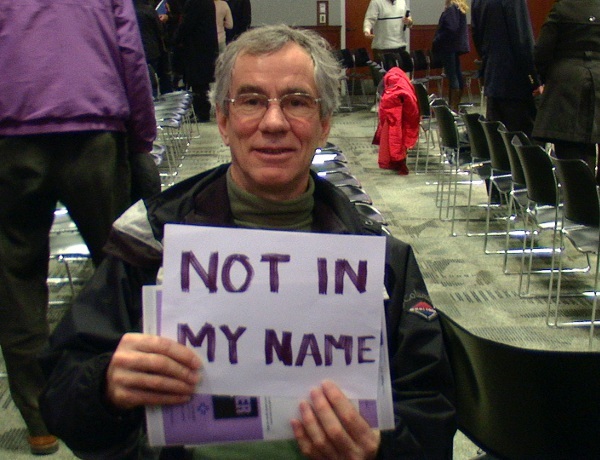 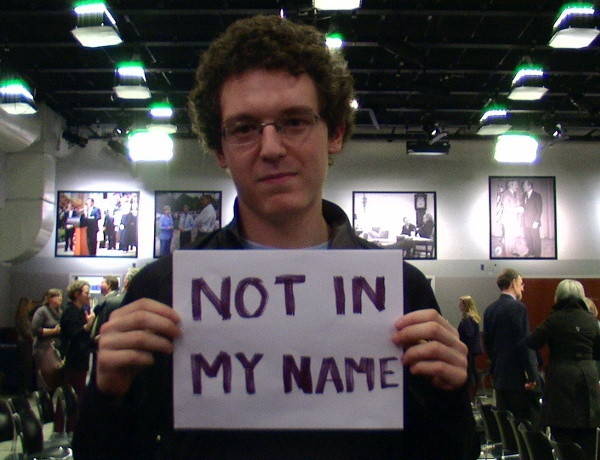 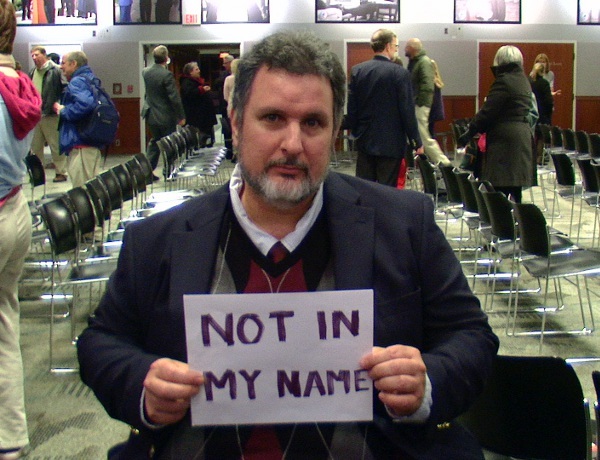 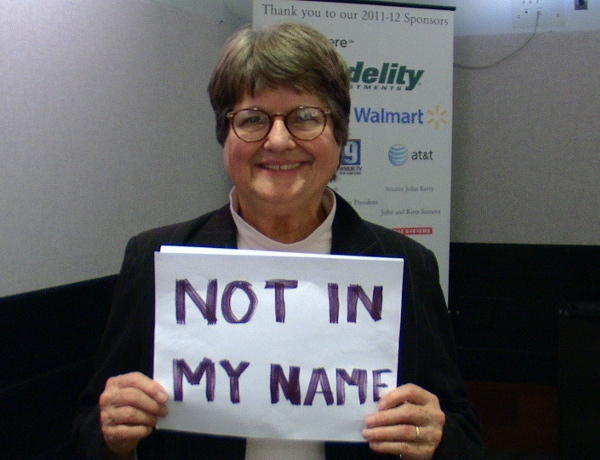 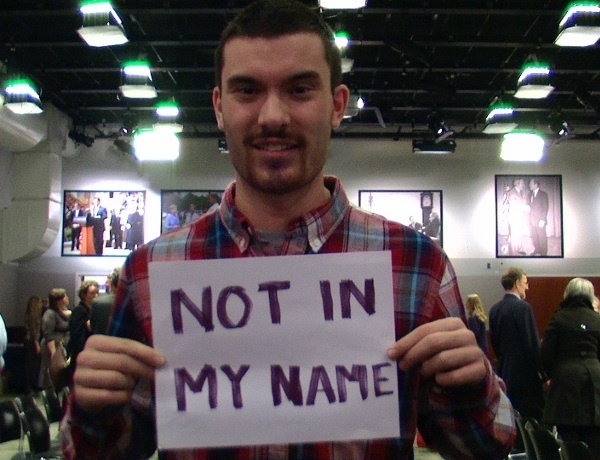 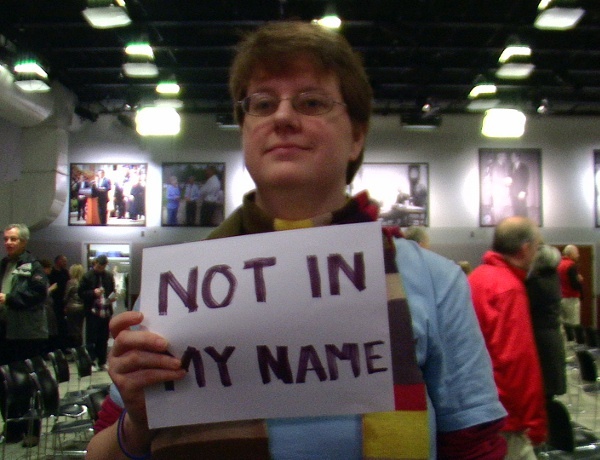 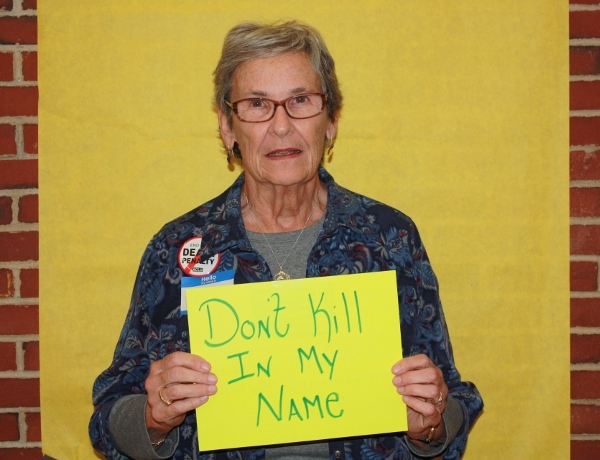 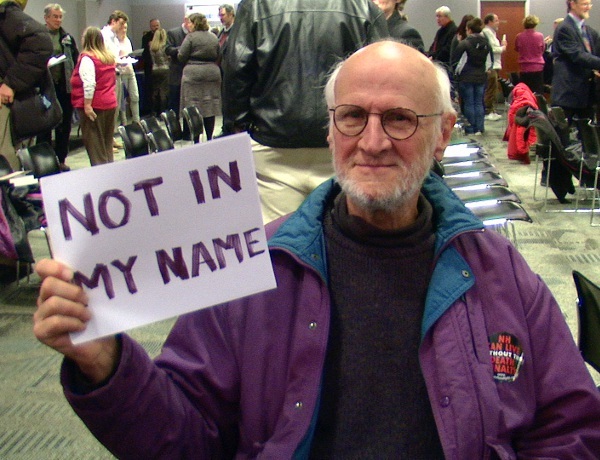 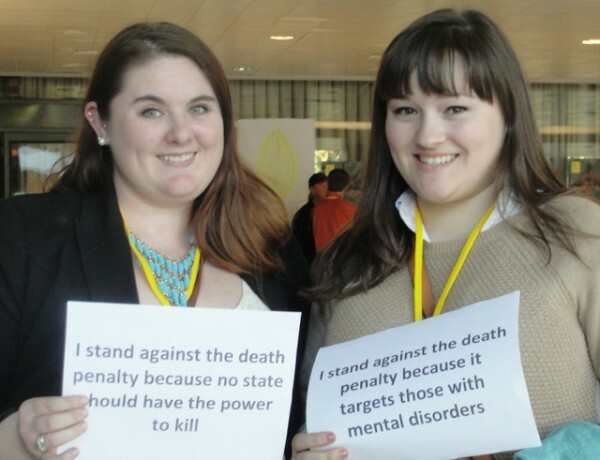 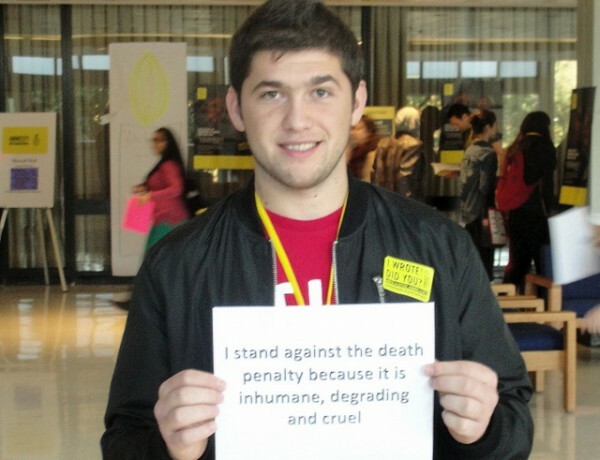 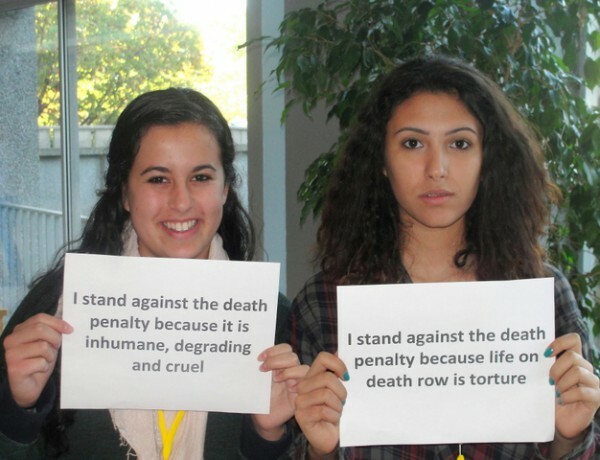 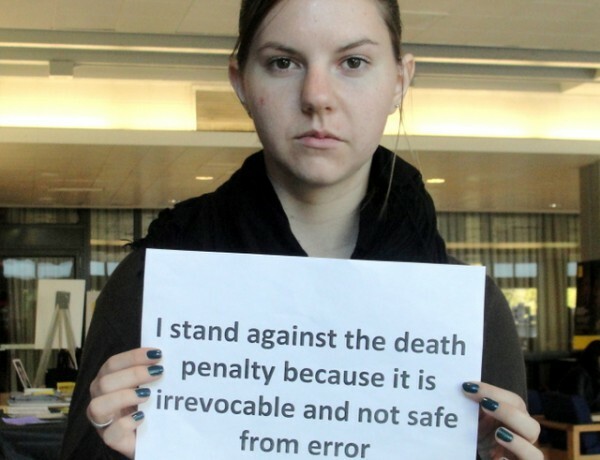 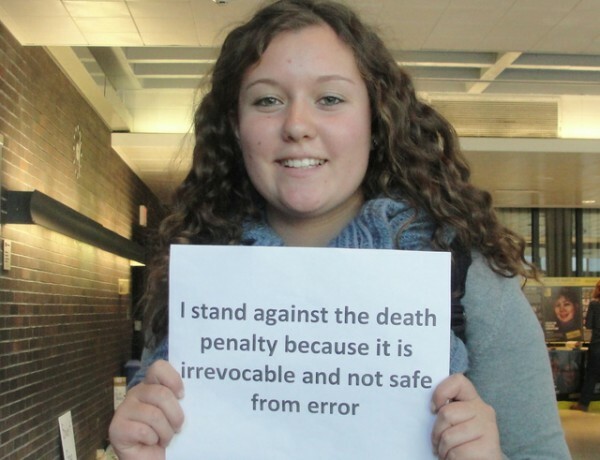 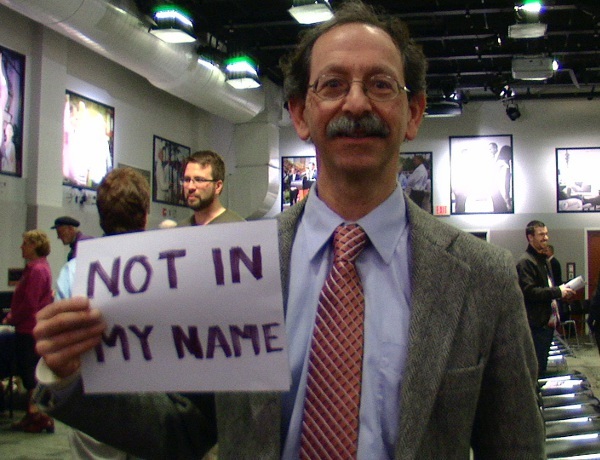 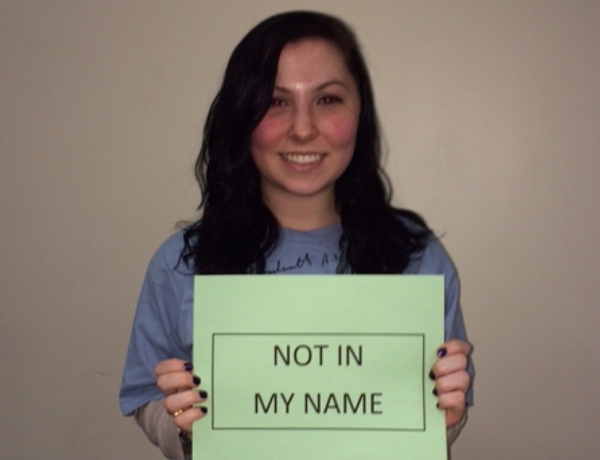 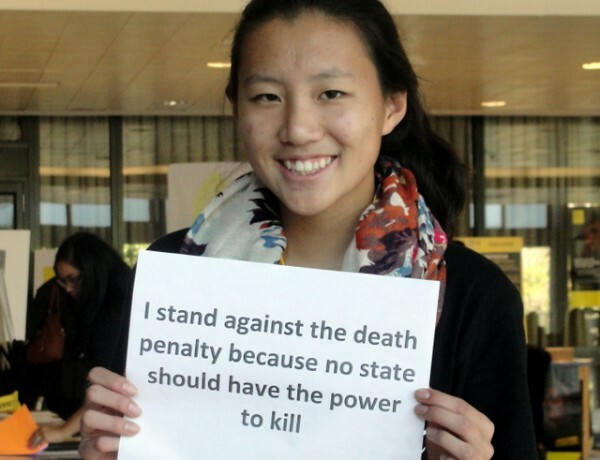 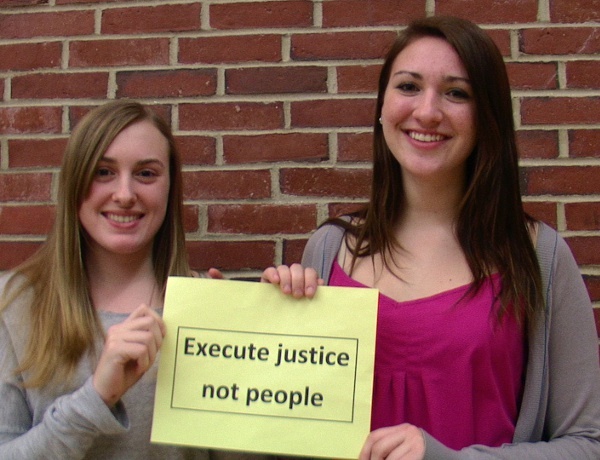 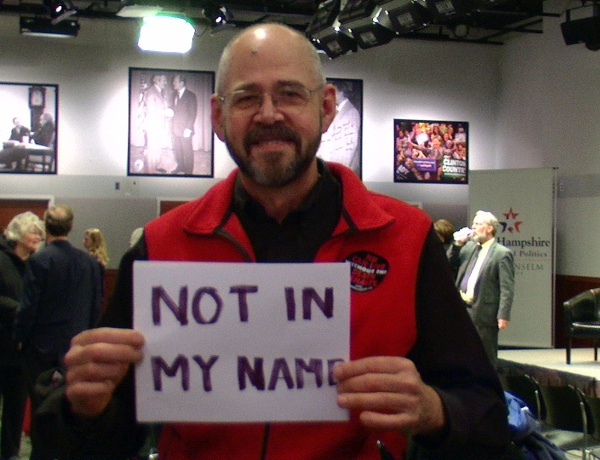 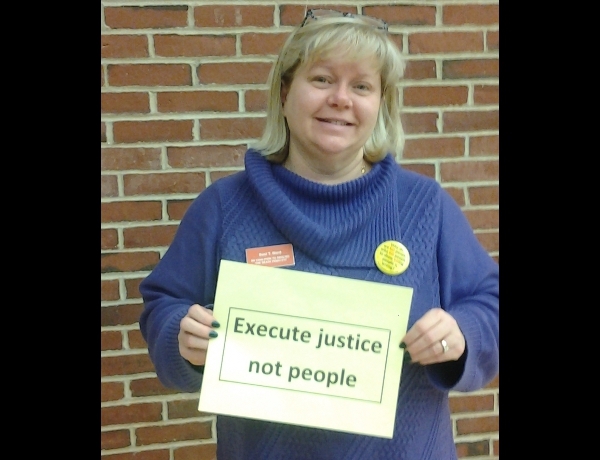 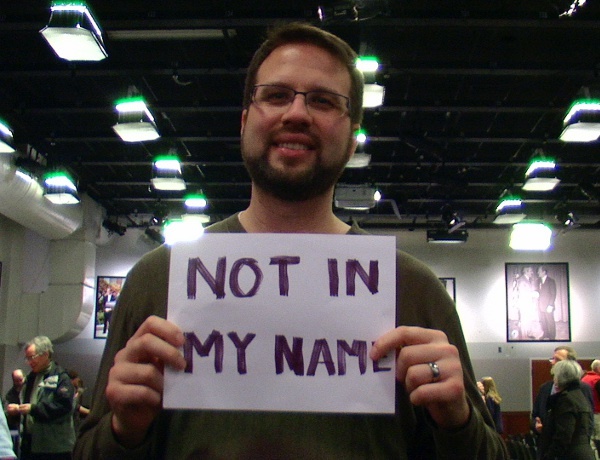 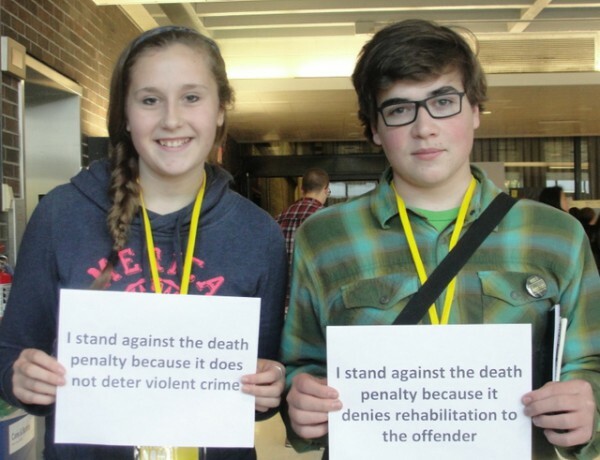 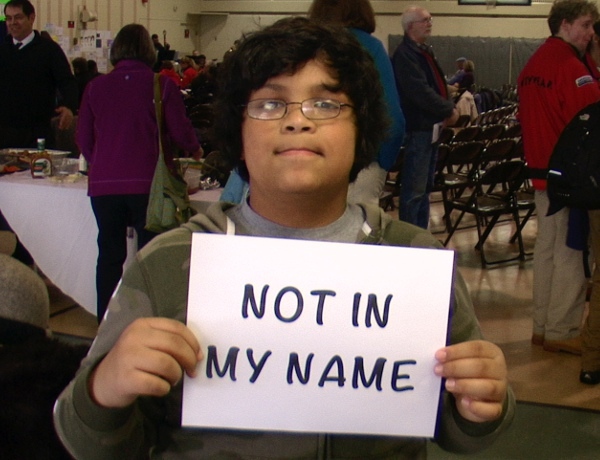 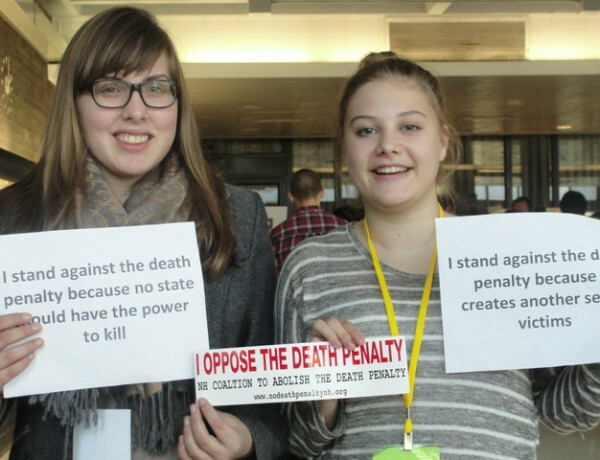 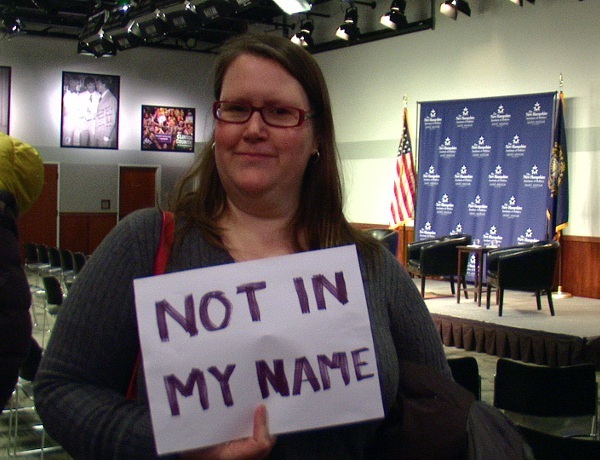 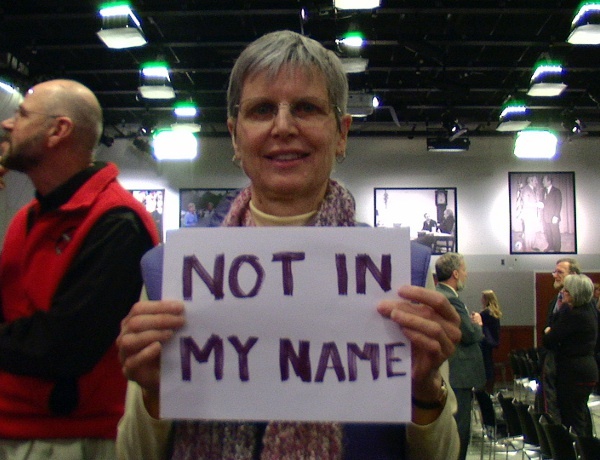 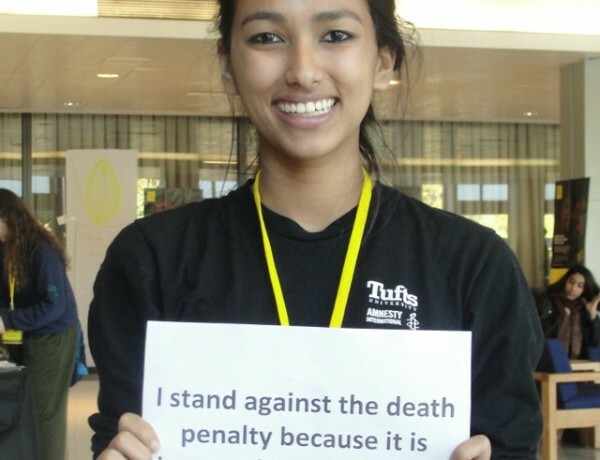 An enthusiastic crowd of activists, legislators and students attended The Road to Repeal: Ending the Death Penalty in New Hampshire in 2014 event on October 10 at the University of NH. 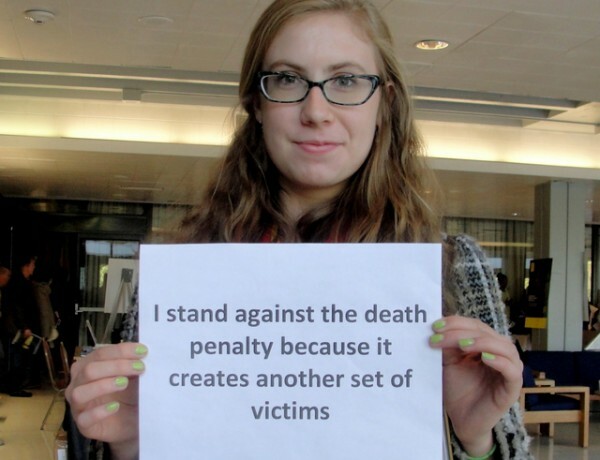 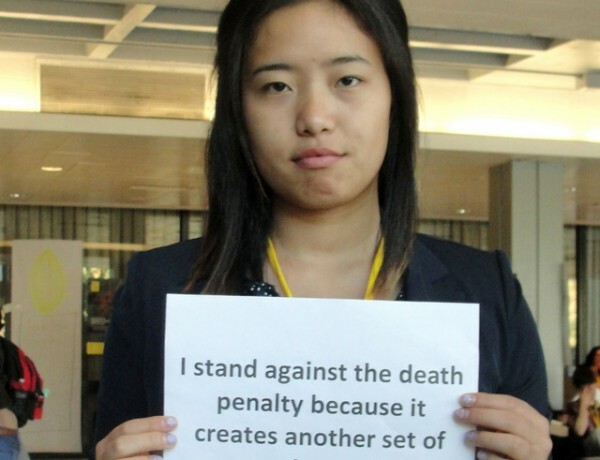 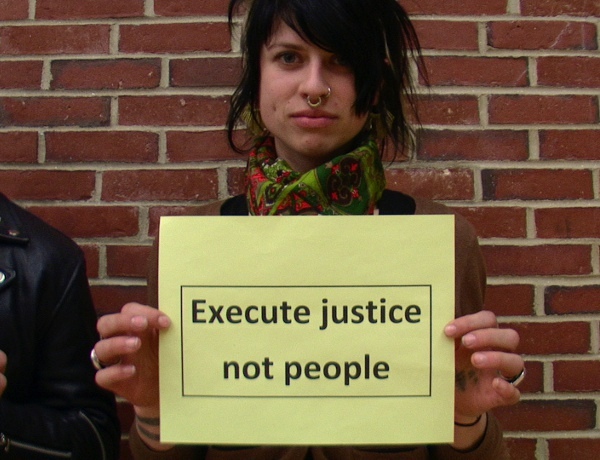 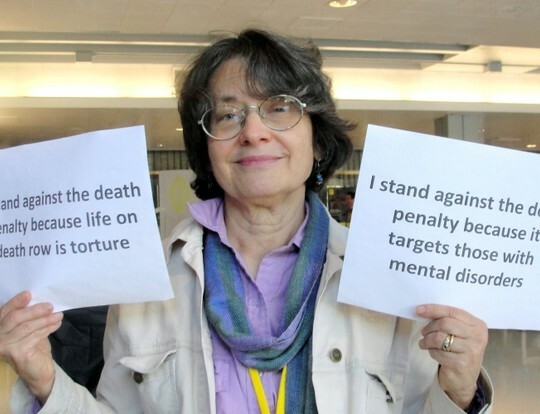 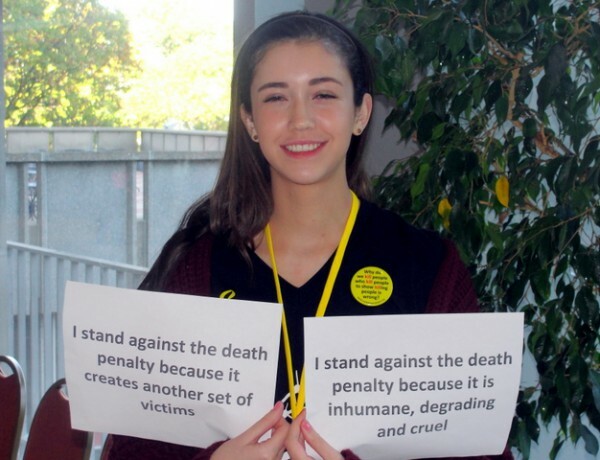 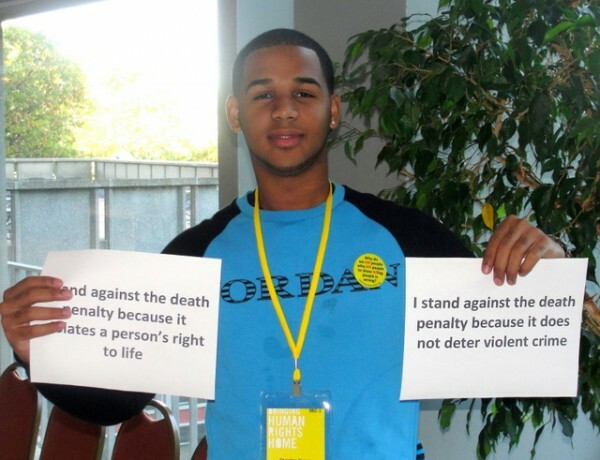 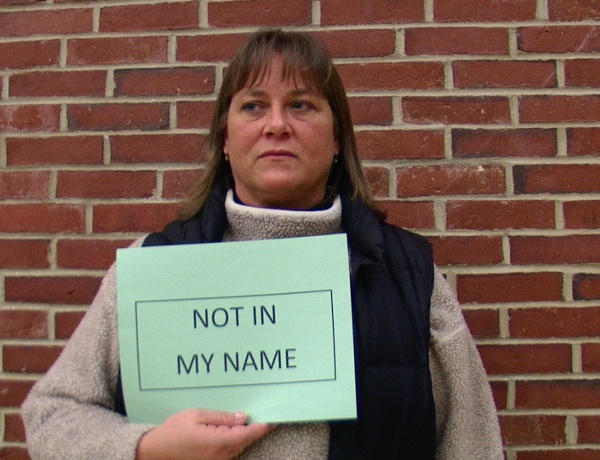 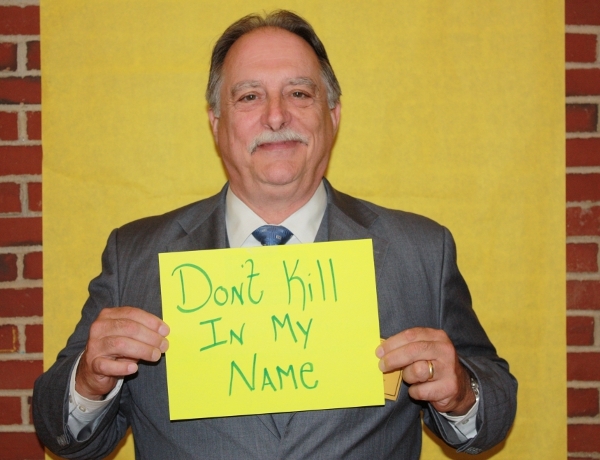 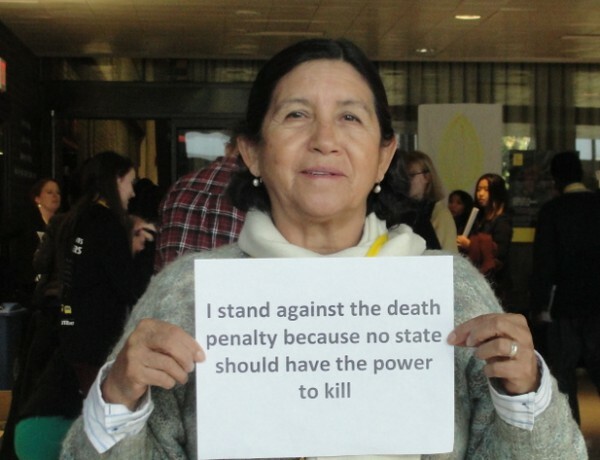 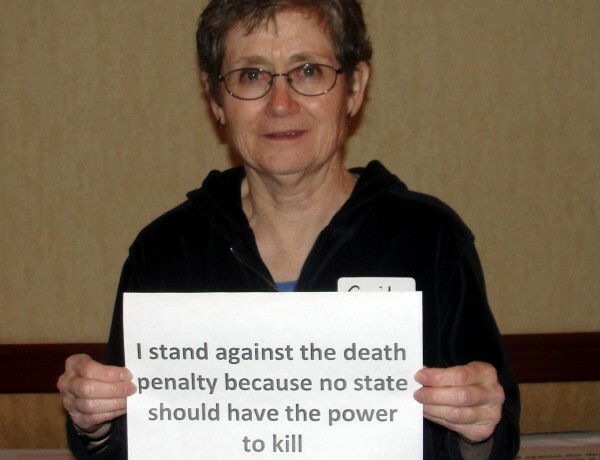 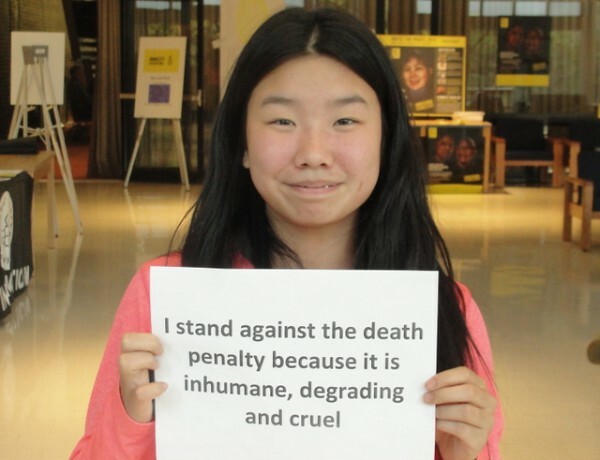 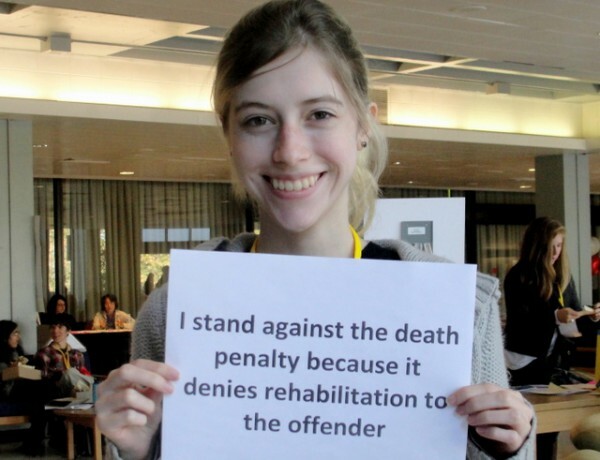 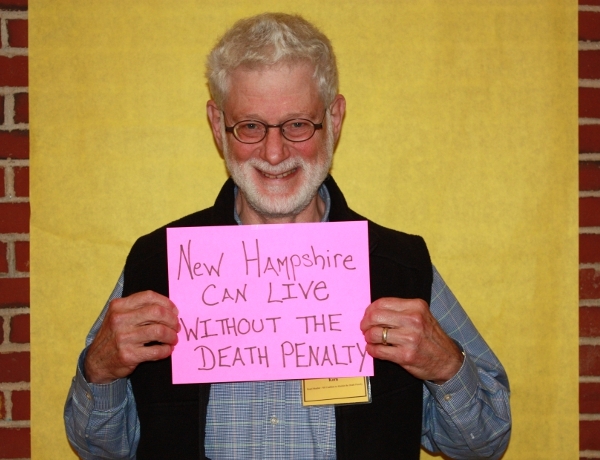 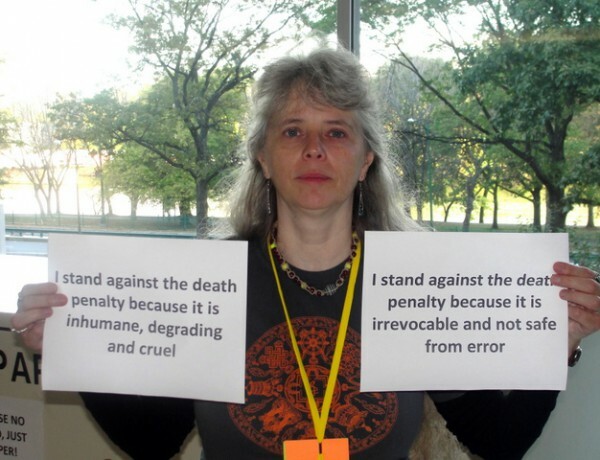 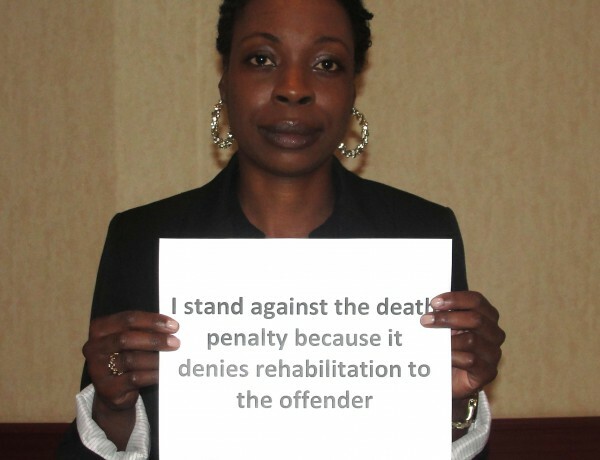 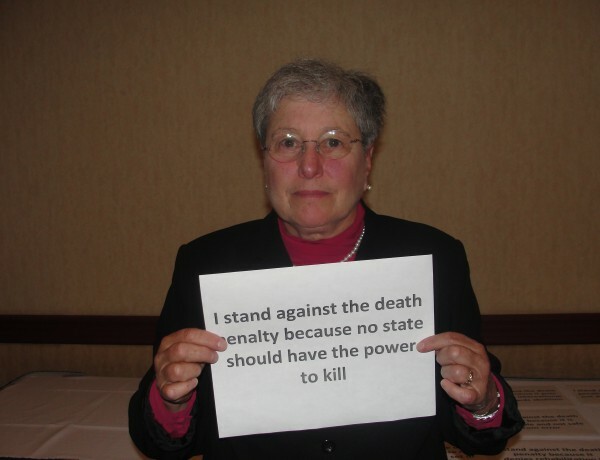 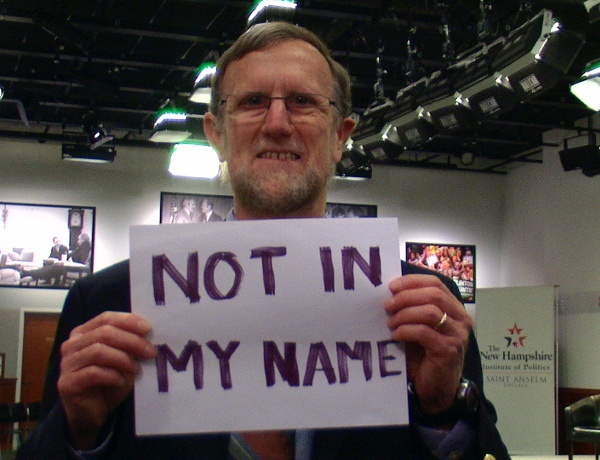 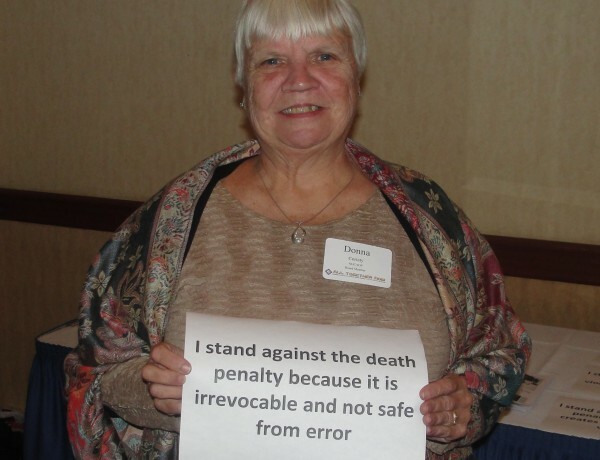 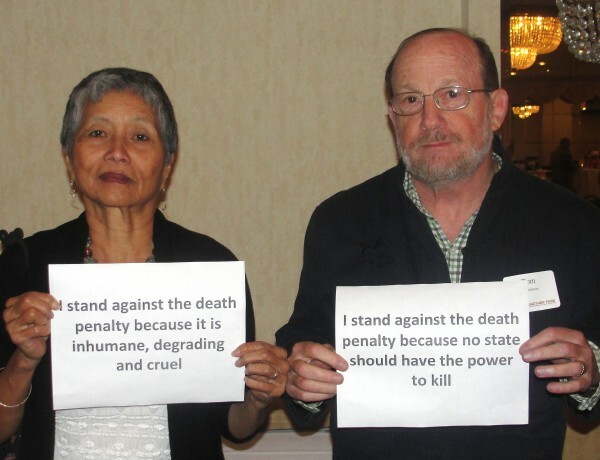 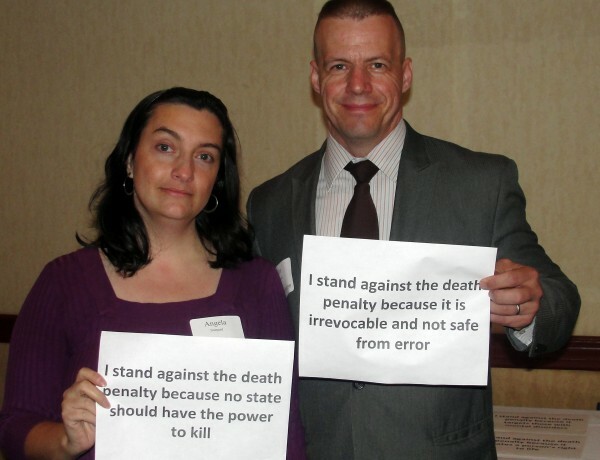 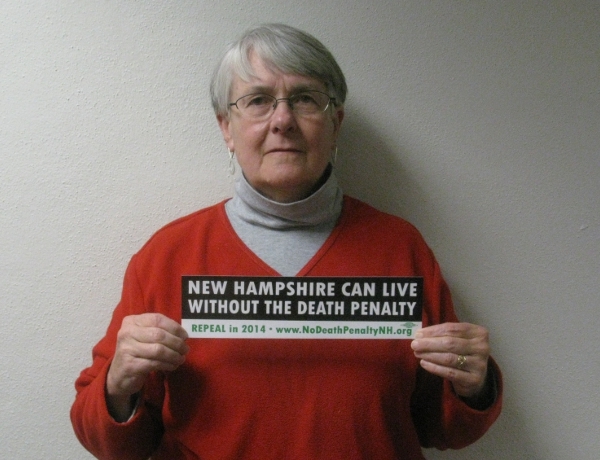 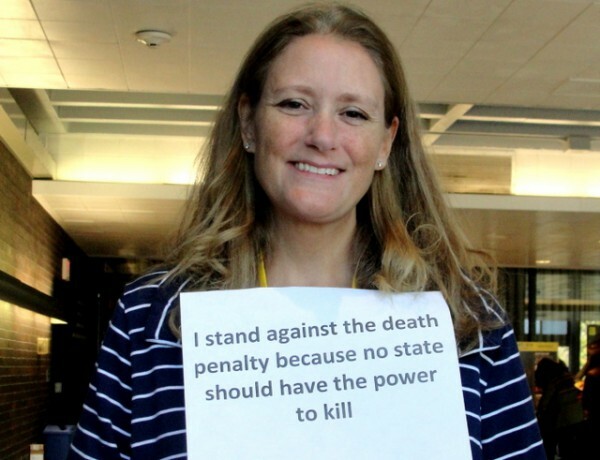 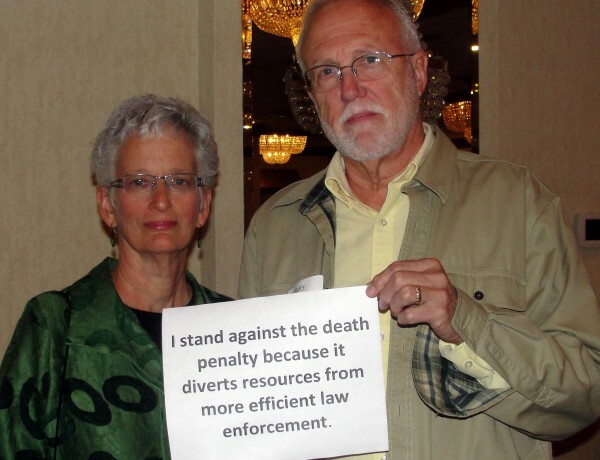 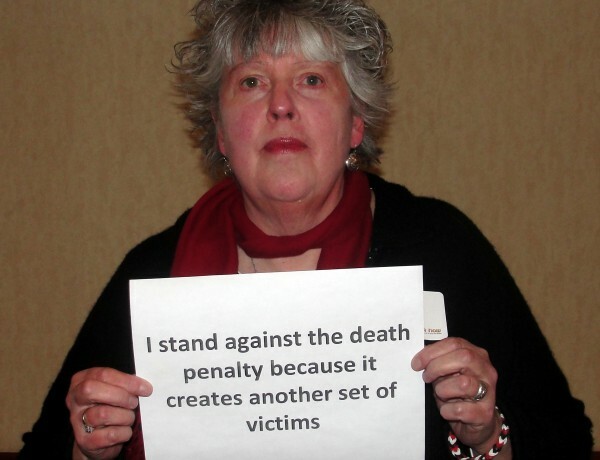 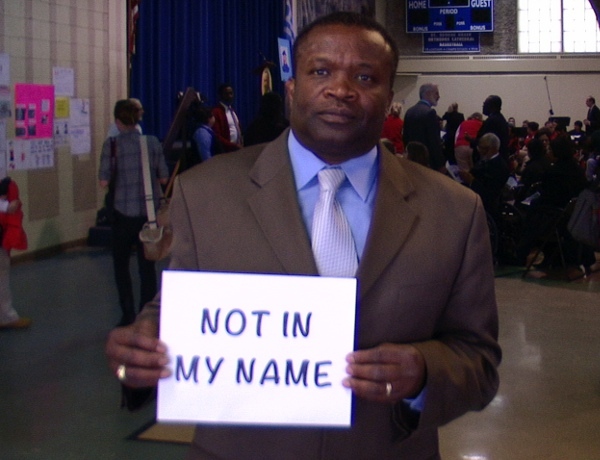 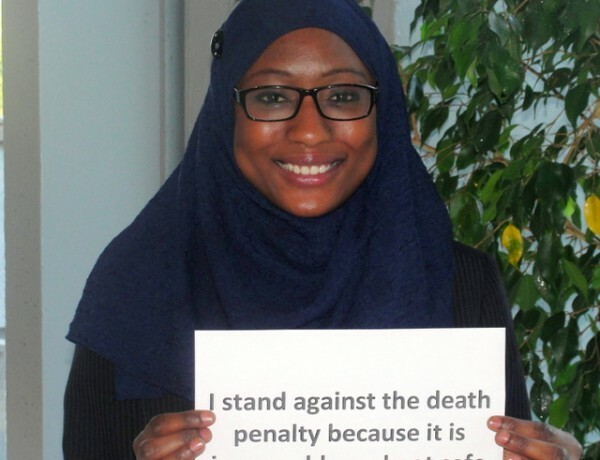 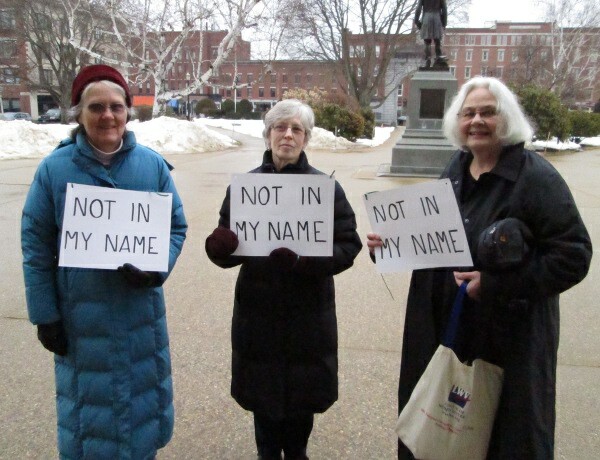 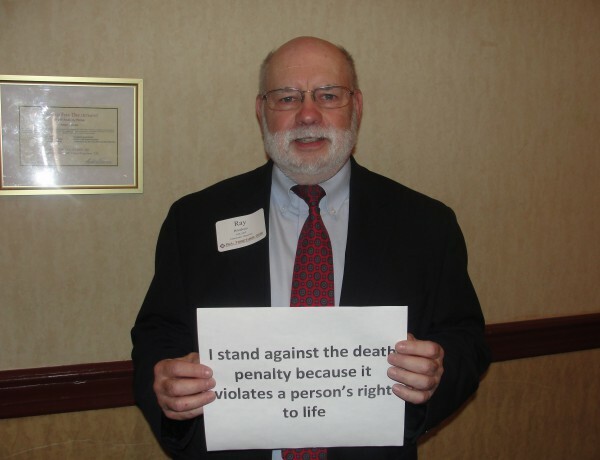 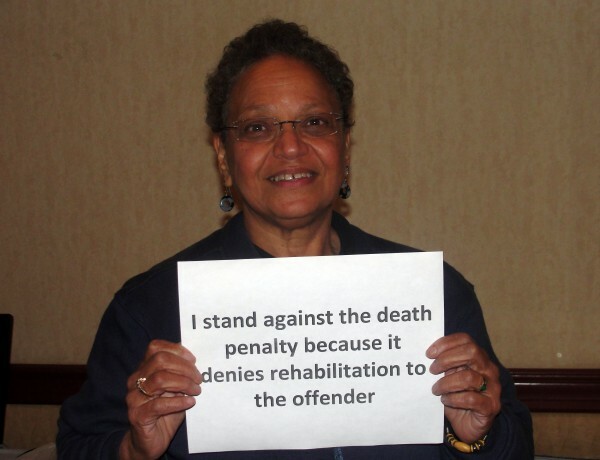 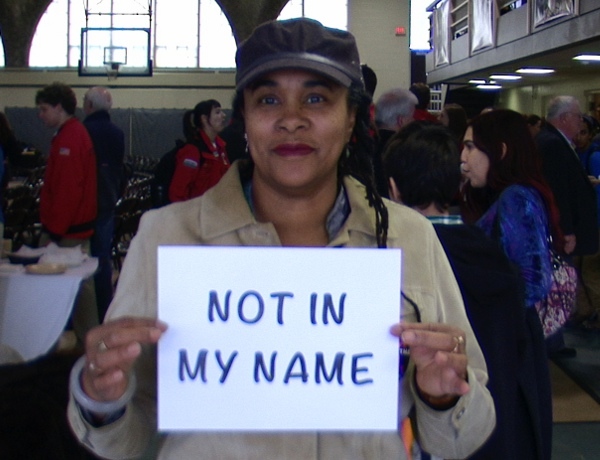 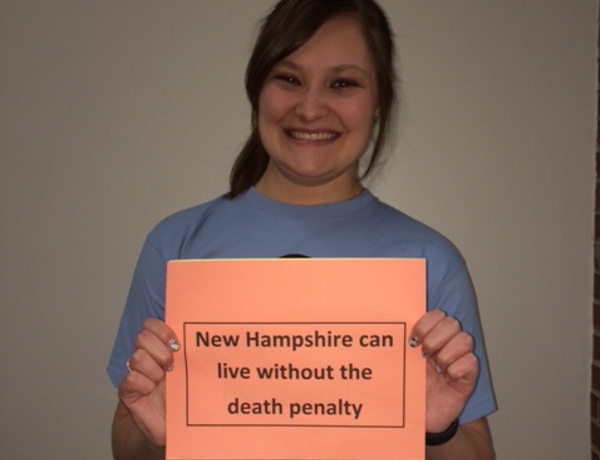 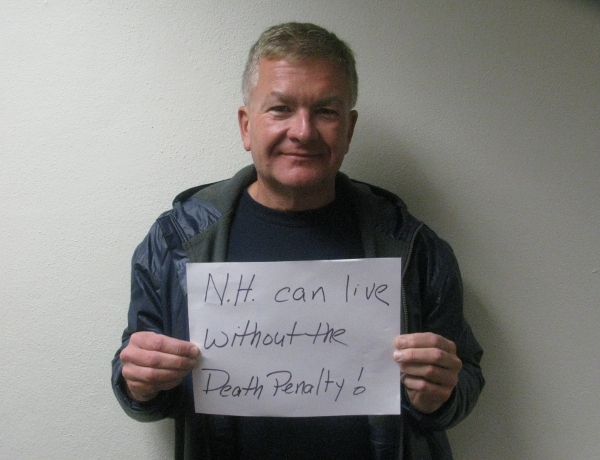 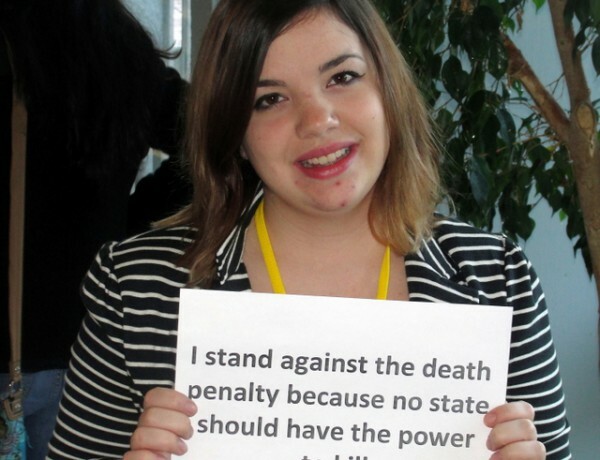 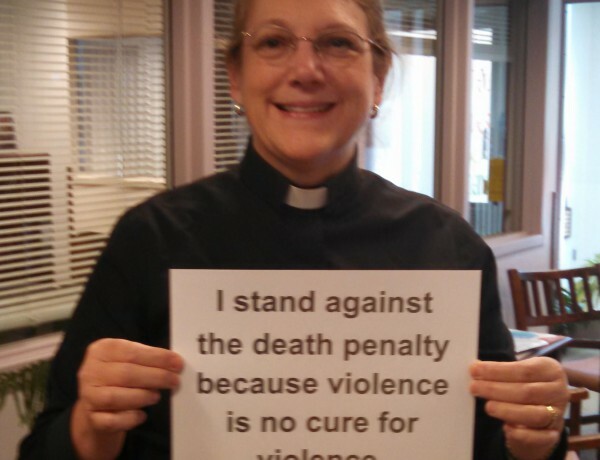 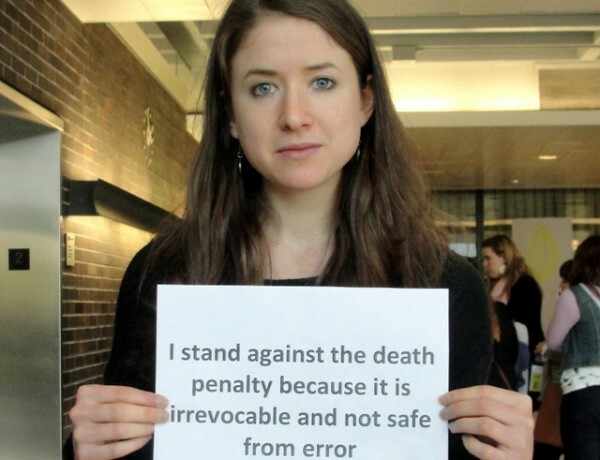 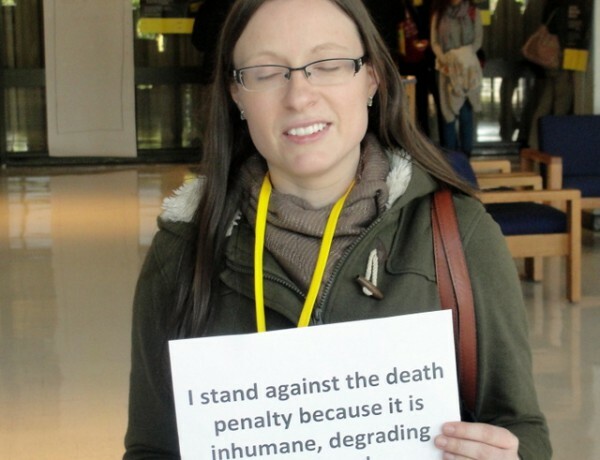 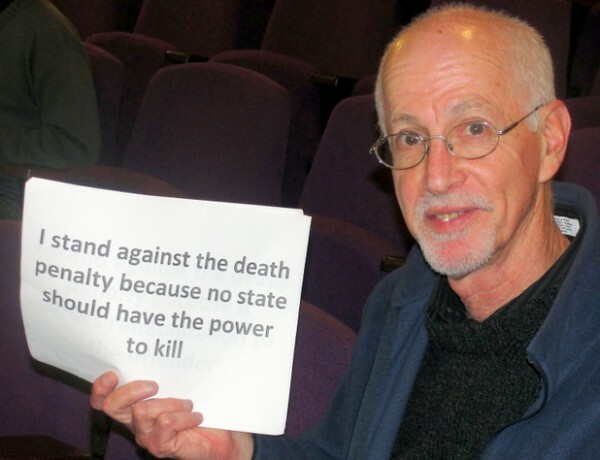 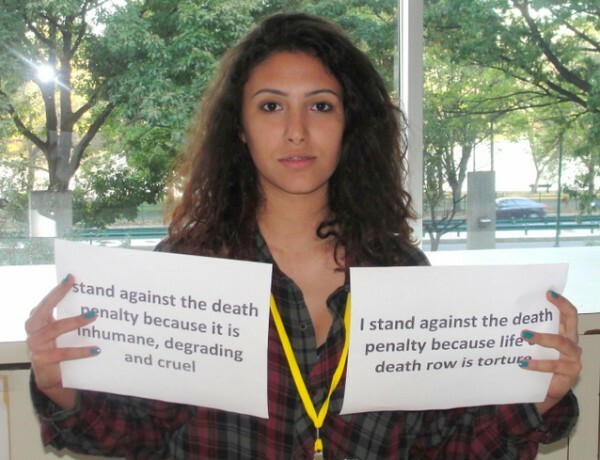 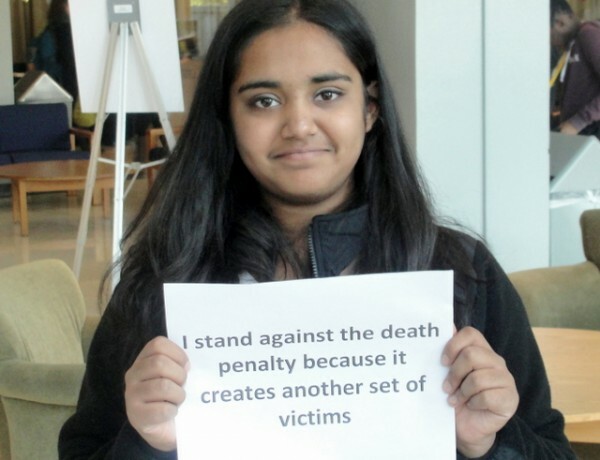 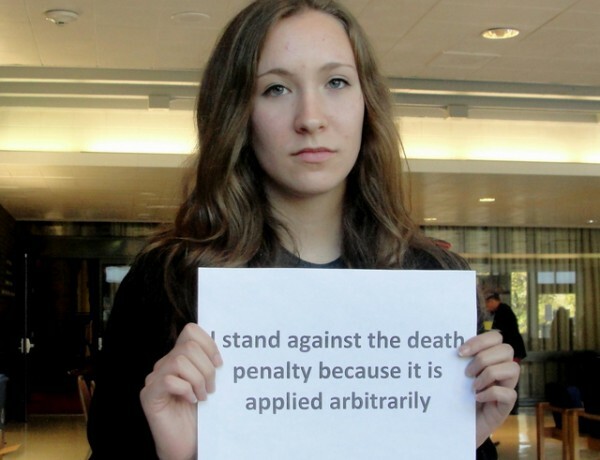 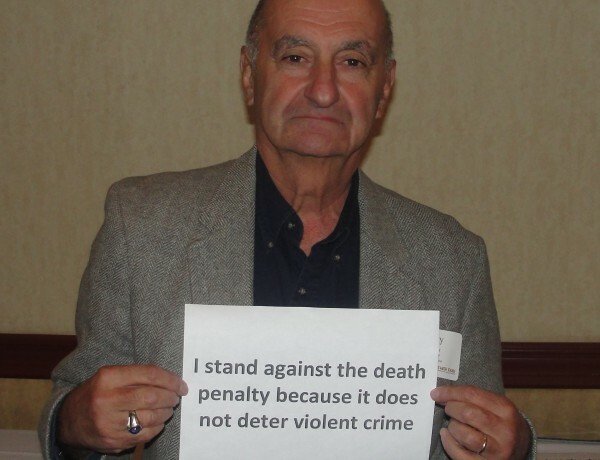 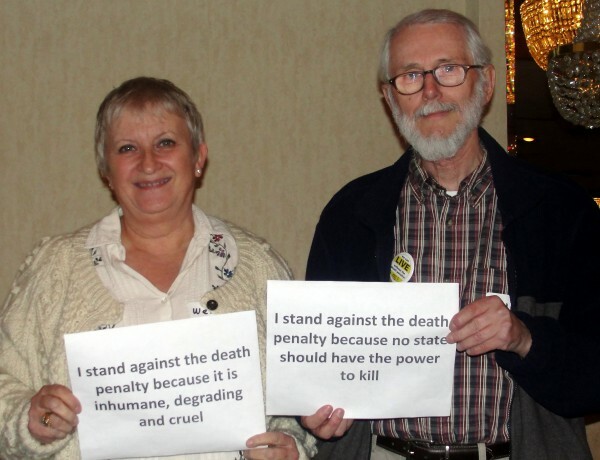 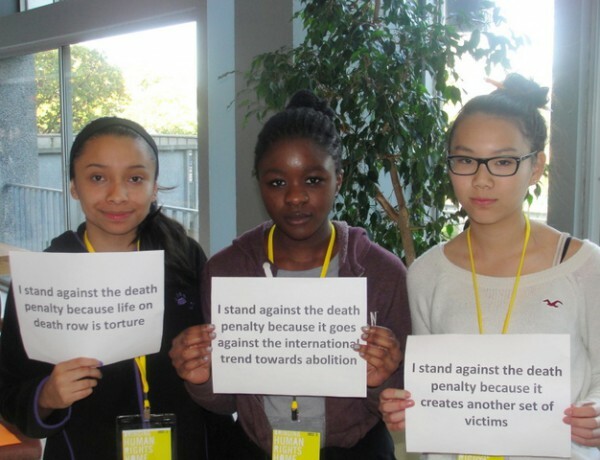 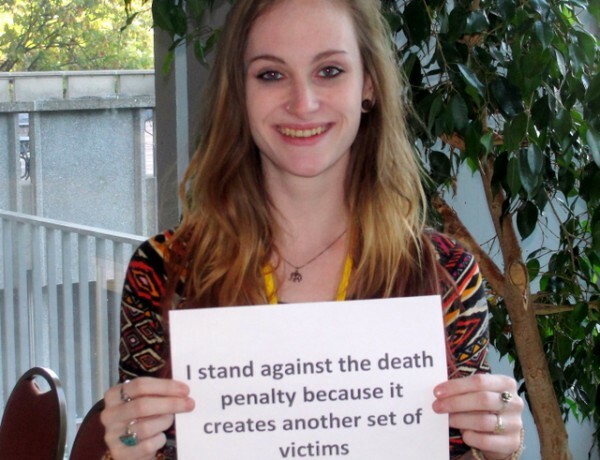 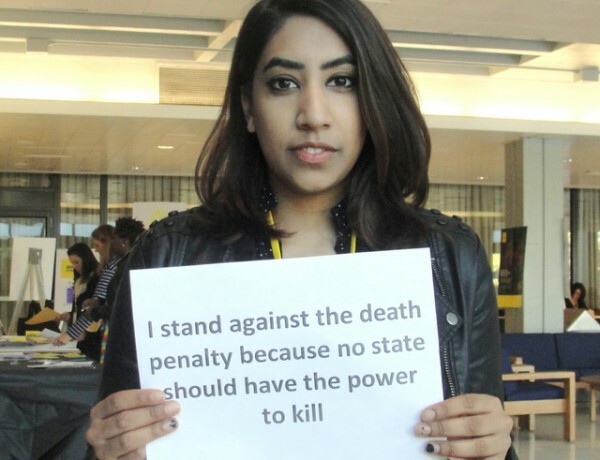 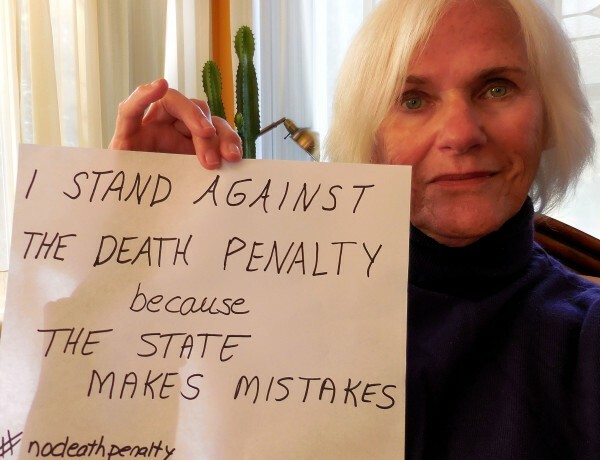 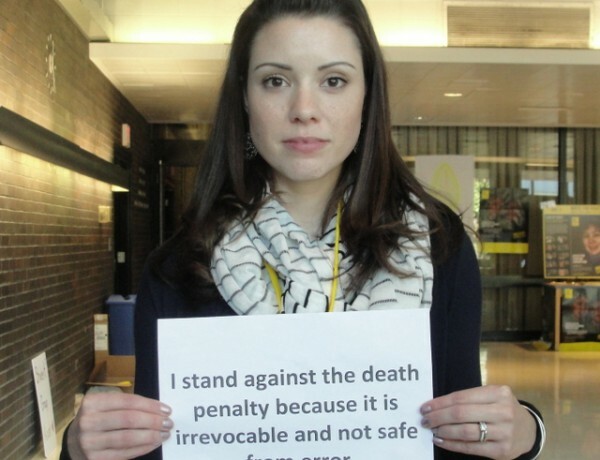 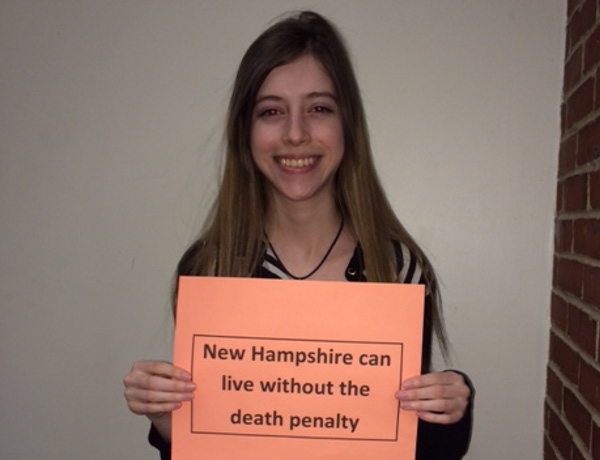 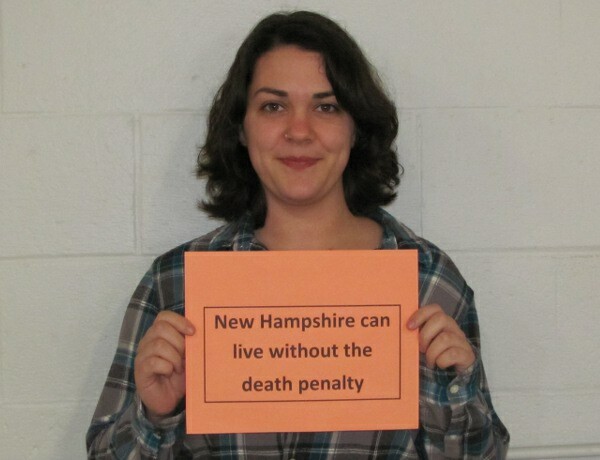 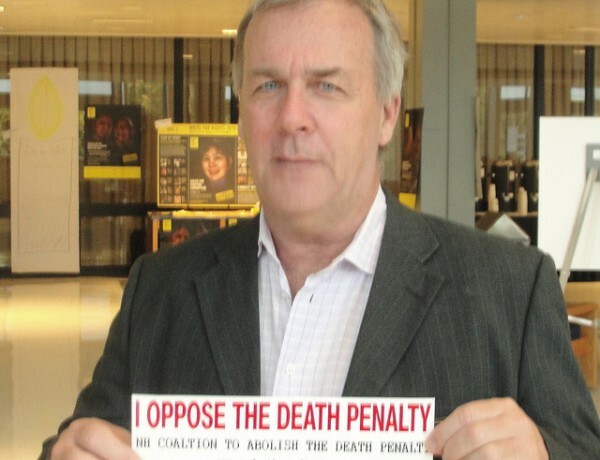 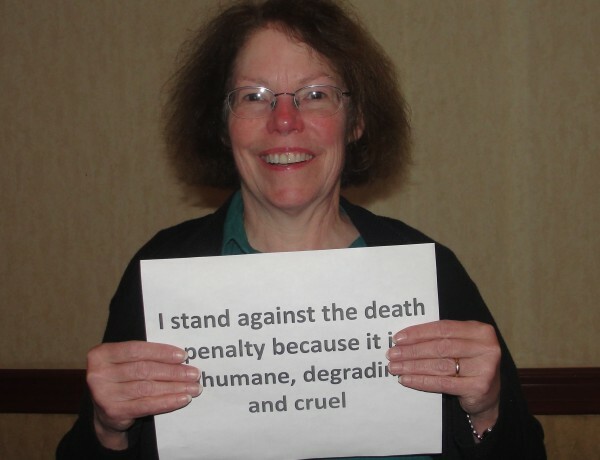 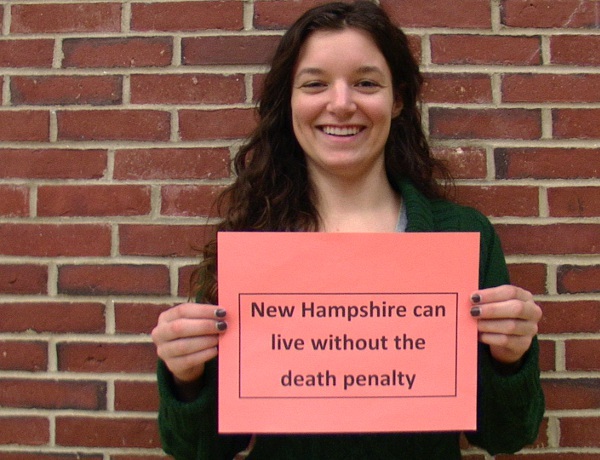 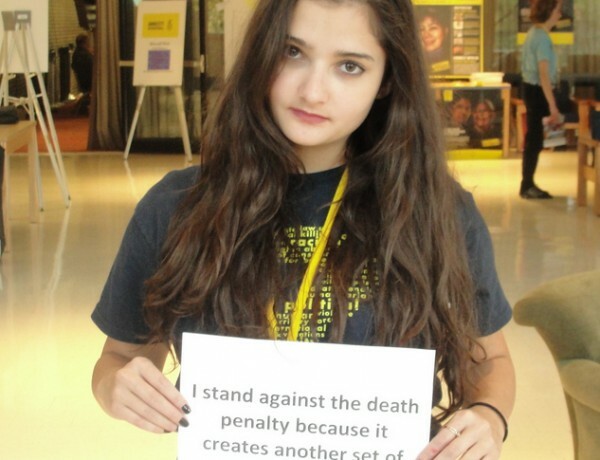 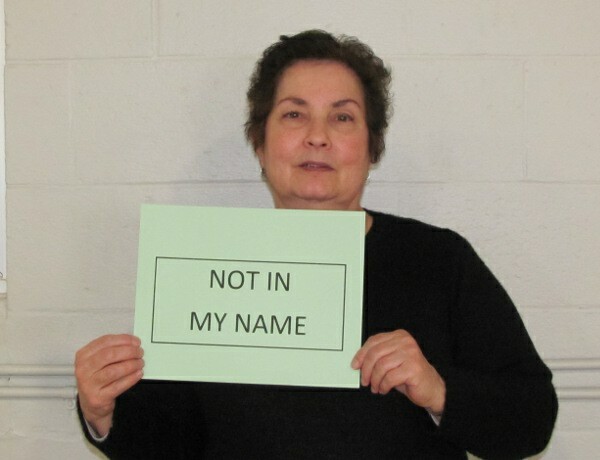 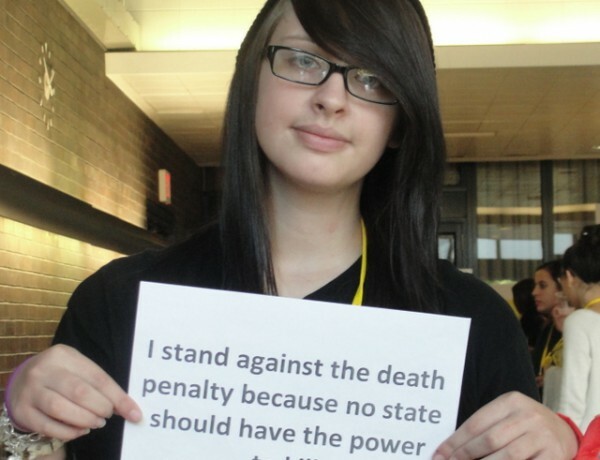 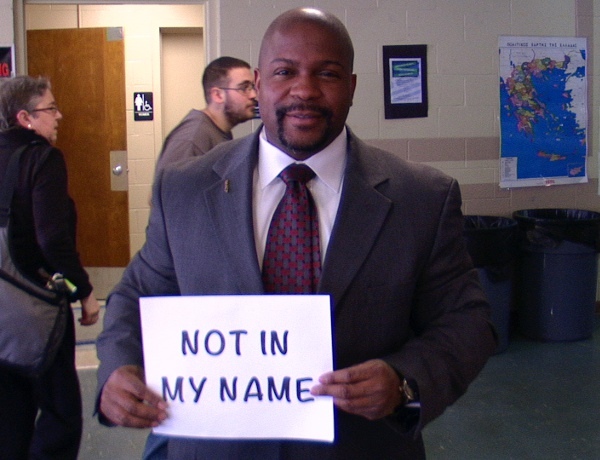 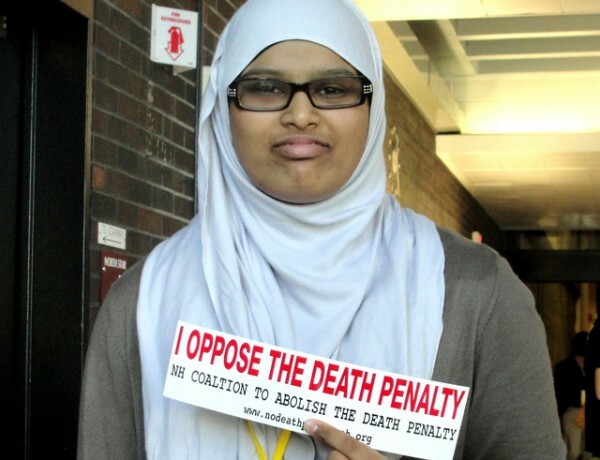 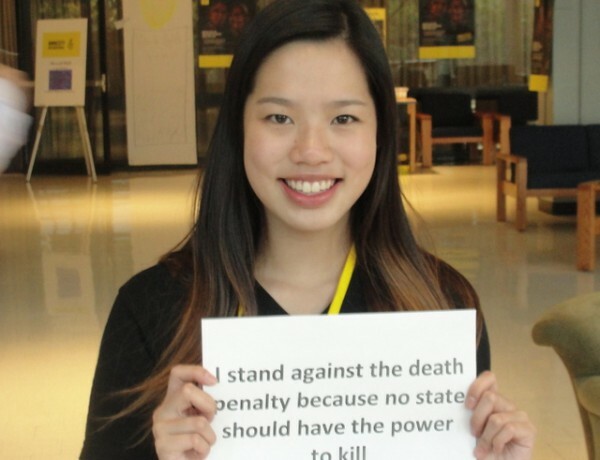 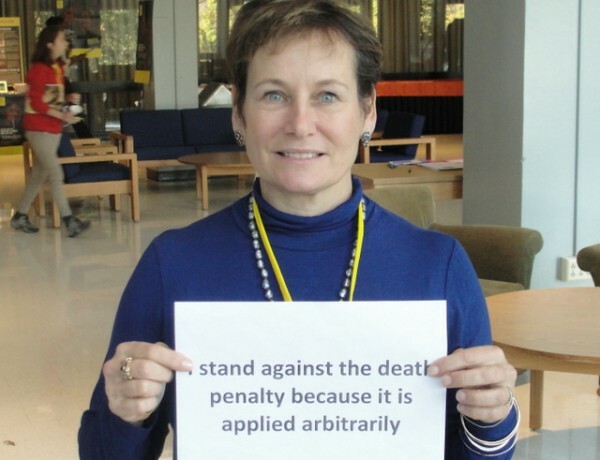 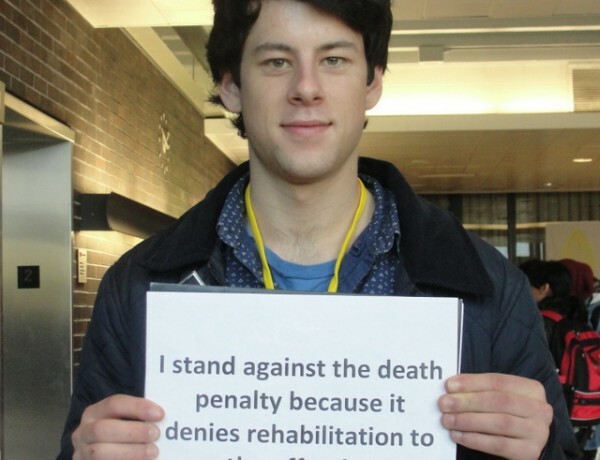 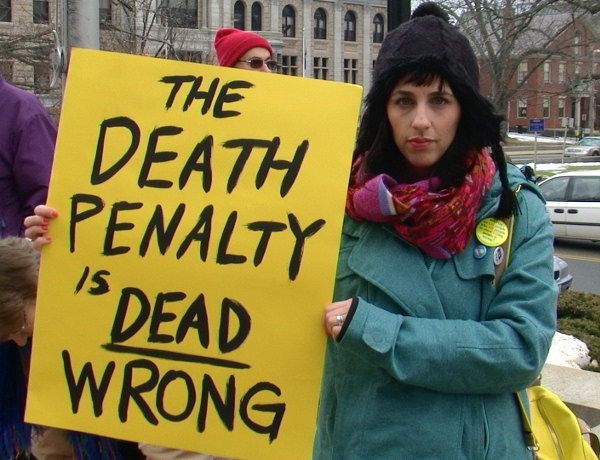 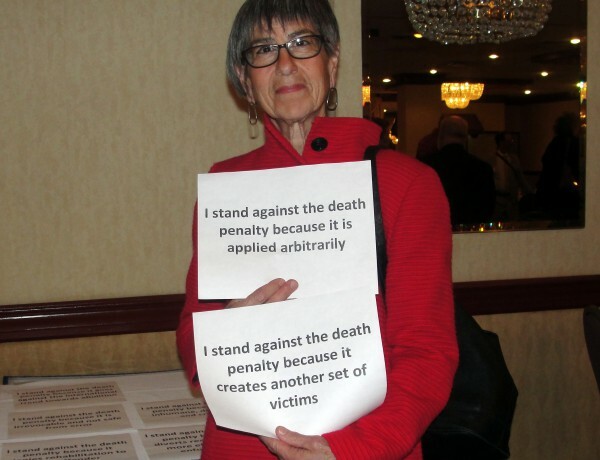 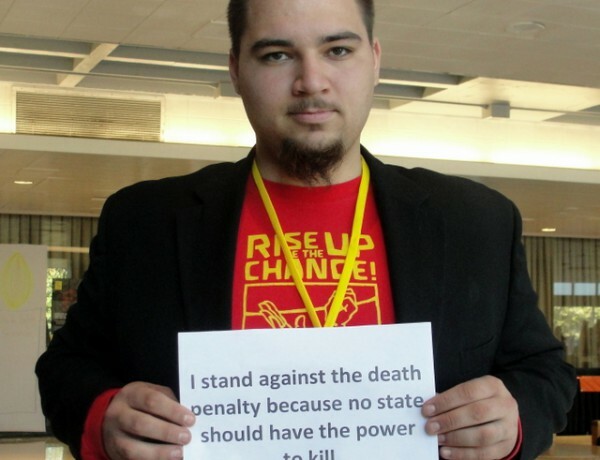 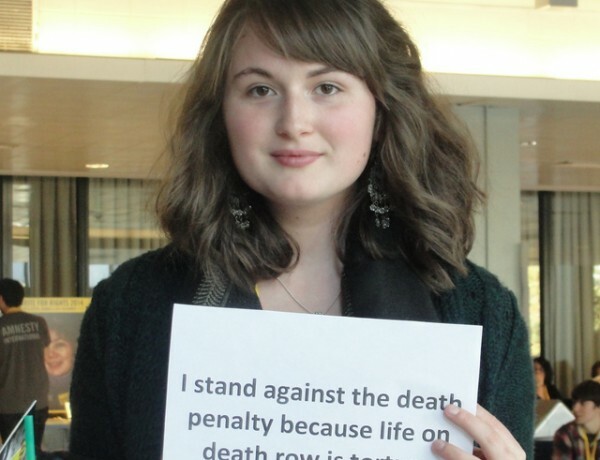 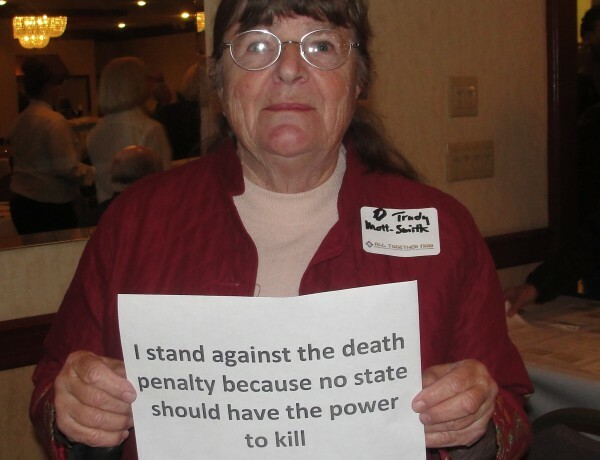 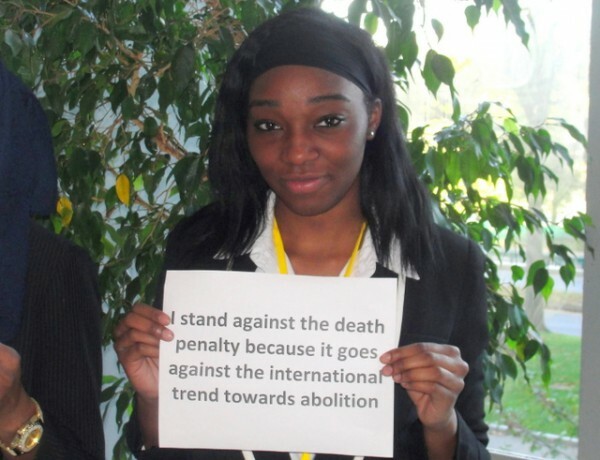 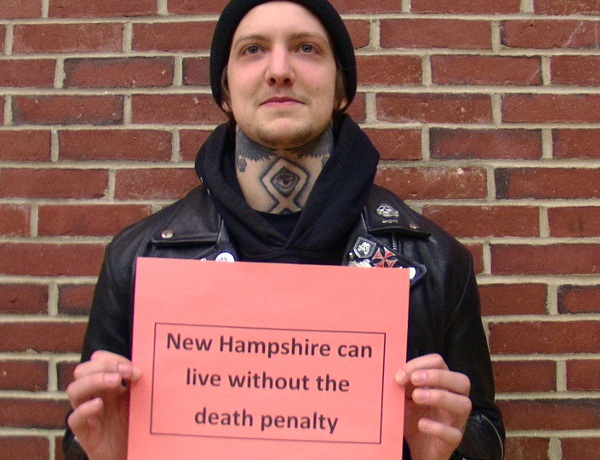 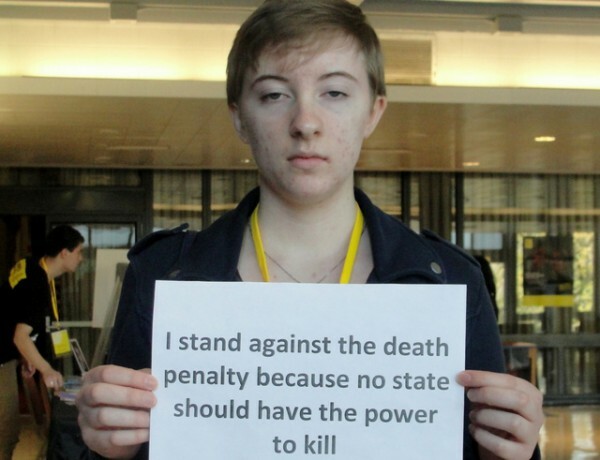 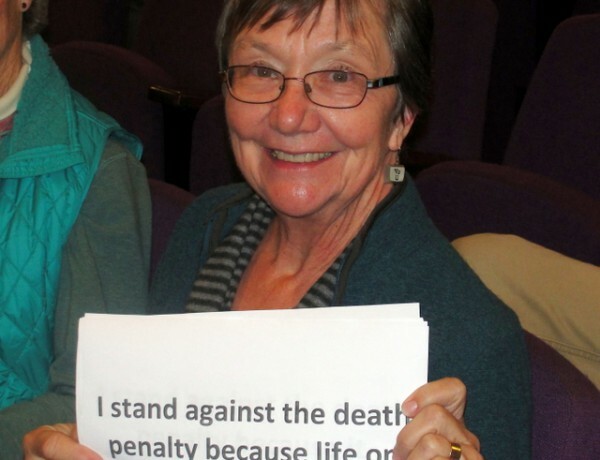 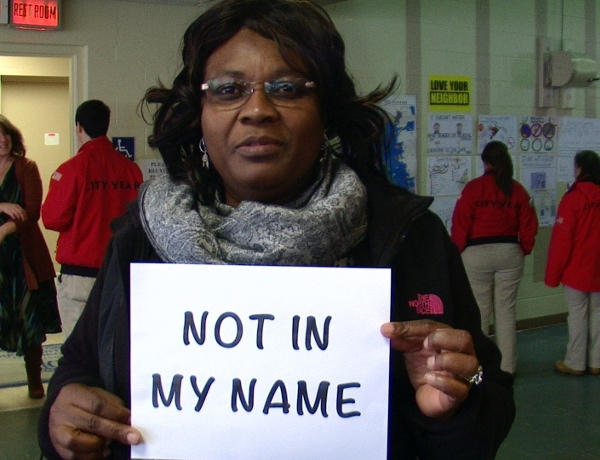 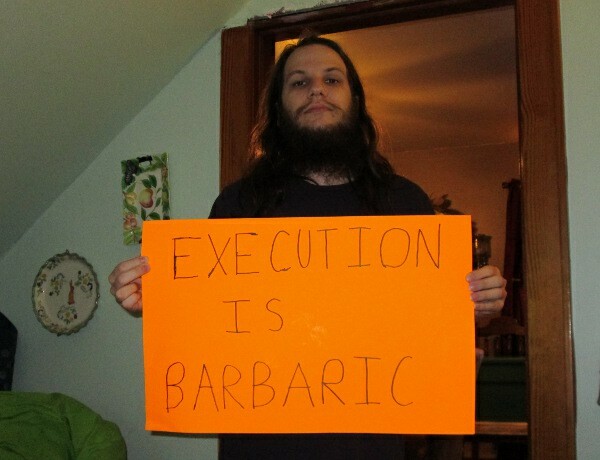 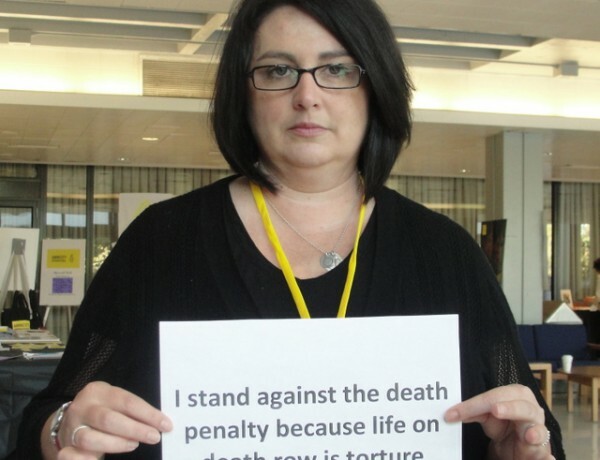 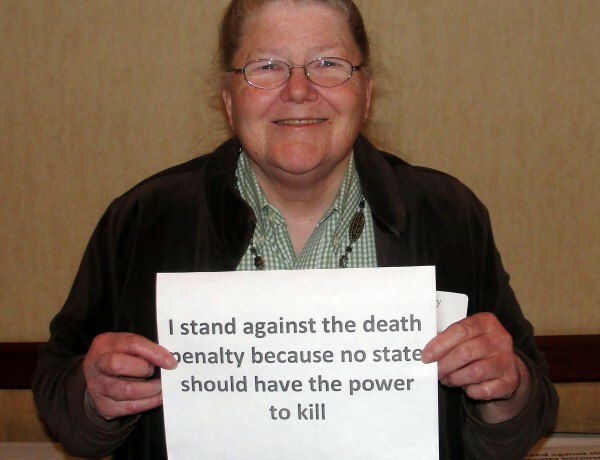 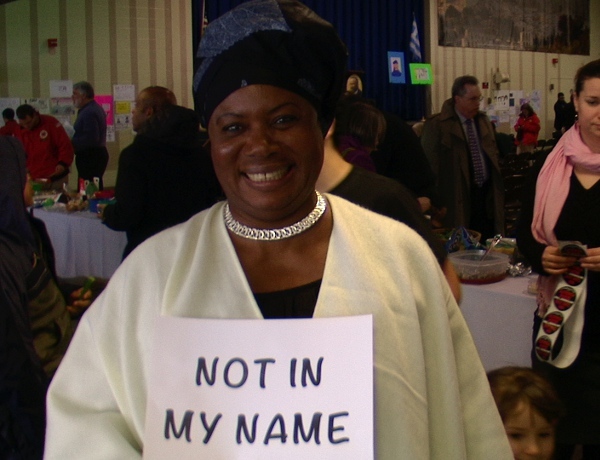 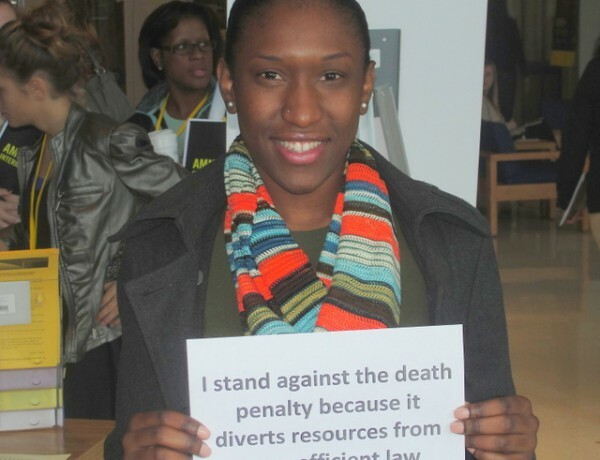 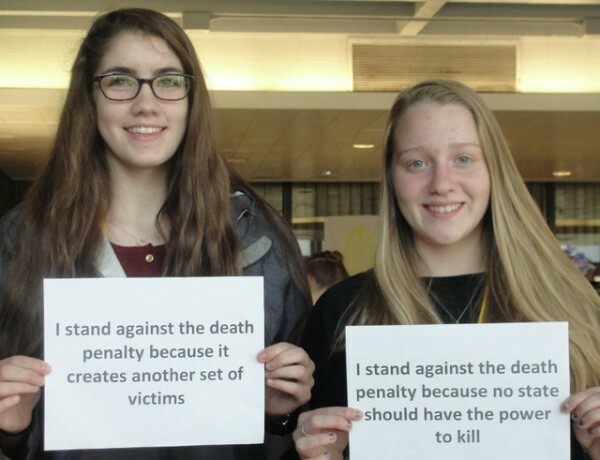 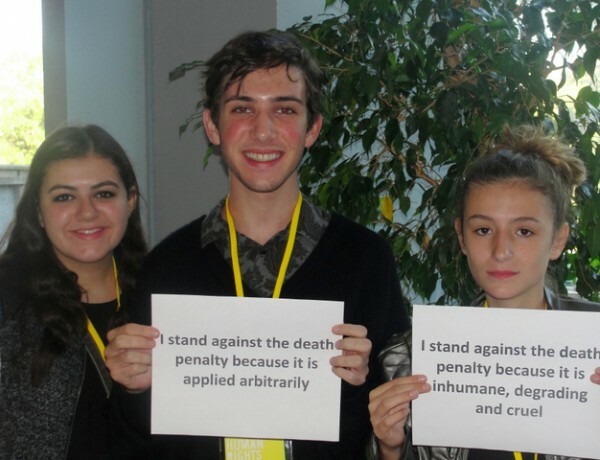 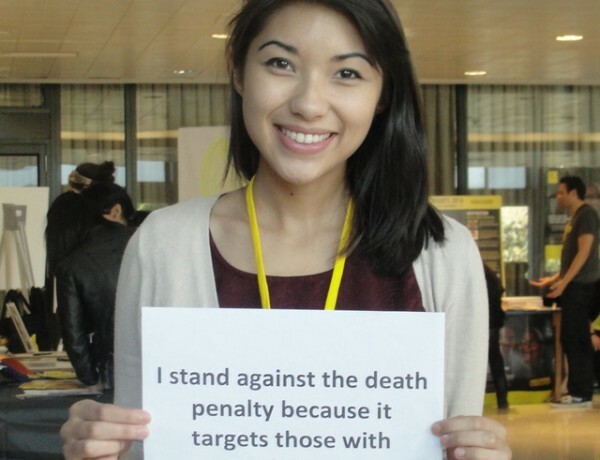 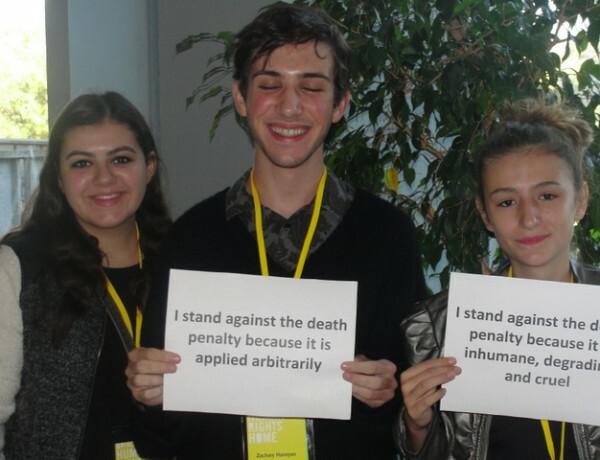 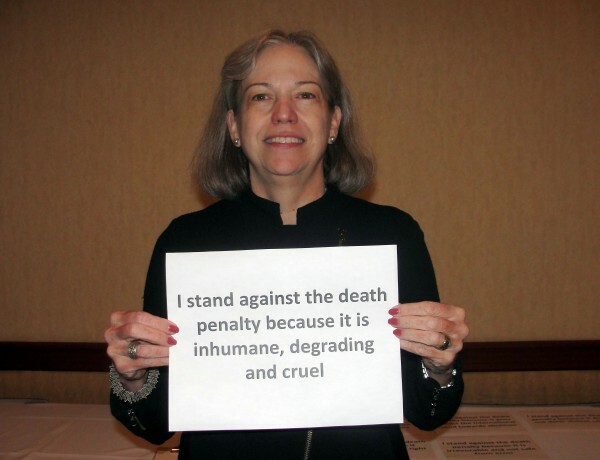 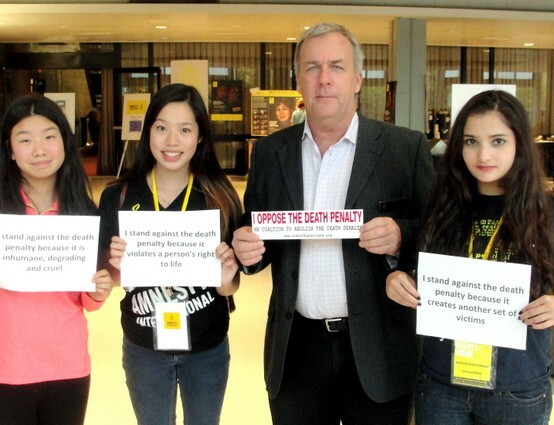 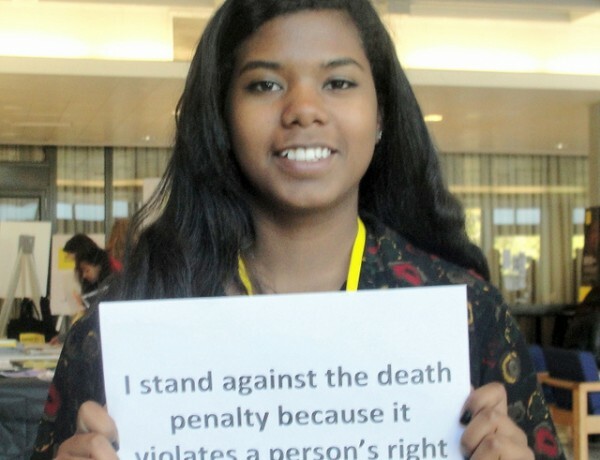 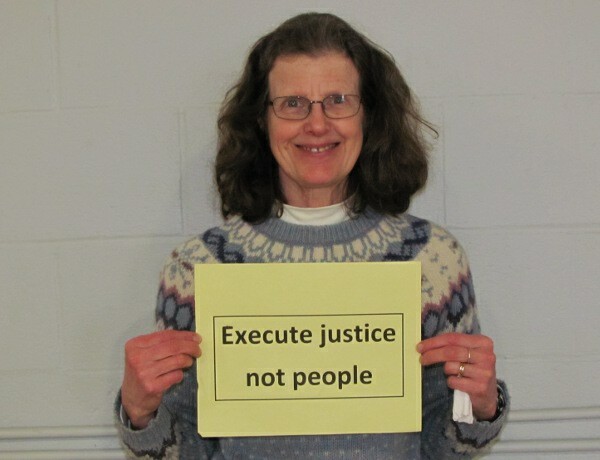 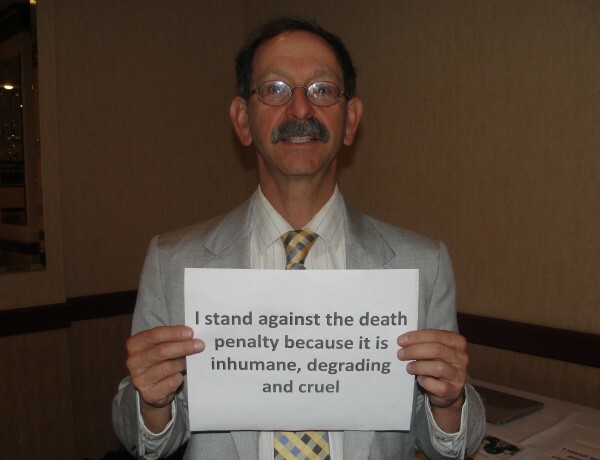 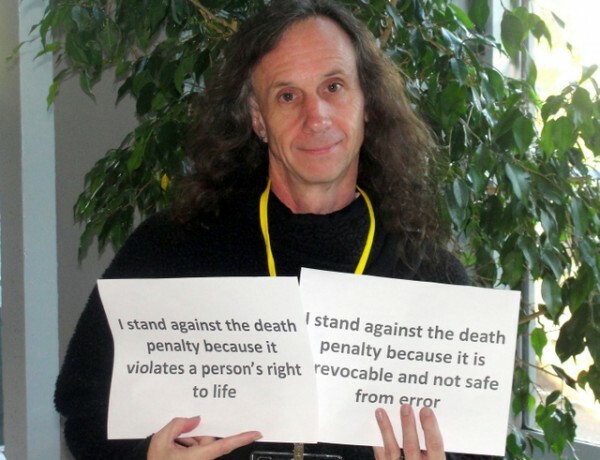 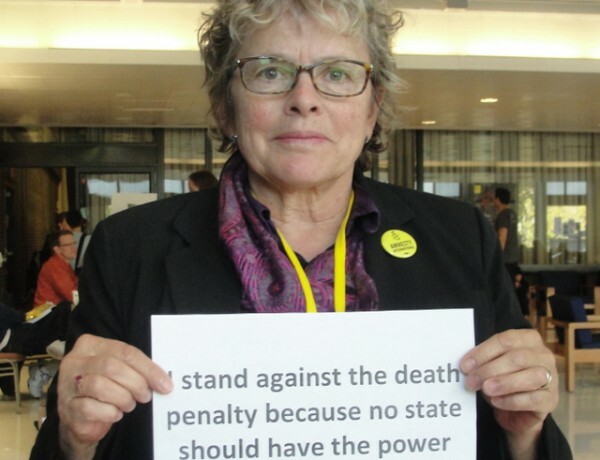 The event marked the observance of World Death Penalty Abolition Day as well as the submission of a new death penalty repeal bill to the NH legislature and the launch of the repeal campaign in NH. 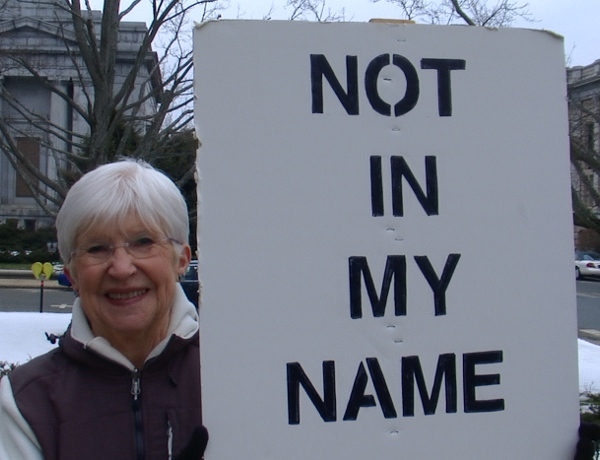 The campaign is already garnering broad bipartisan support in the NH Legislature with a balanced mix of Democrats and Republicans co-sponsoring. 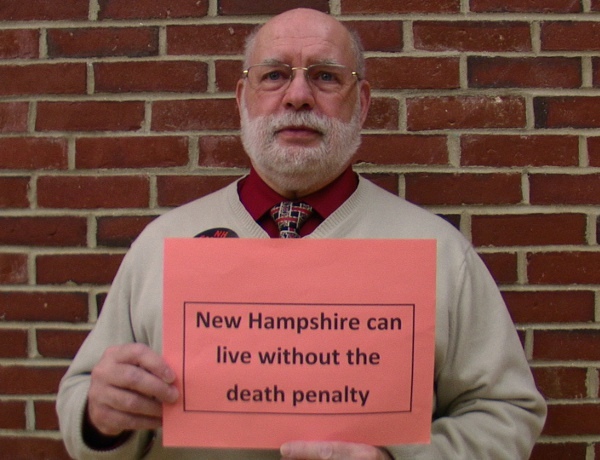 Representative Robert “Renny” Cushing of Hampton, a long-time death penalty repeal advocate and founder and executive director of Murder Victims’ Families for Human Rights, spoke about his history as a murder victim family member and his observations about why some resist repealing the death penalty and how they might be encouraged to come around. 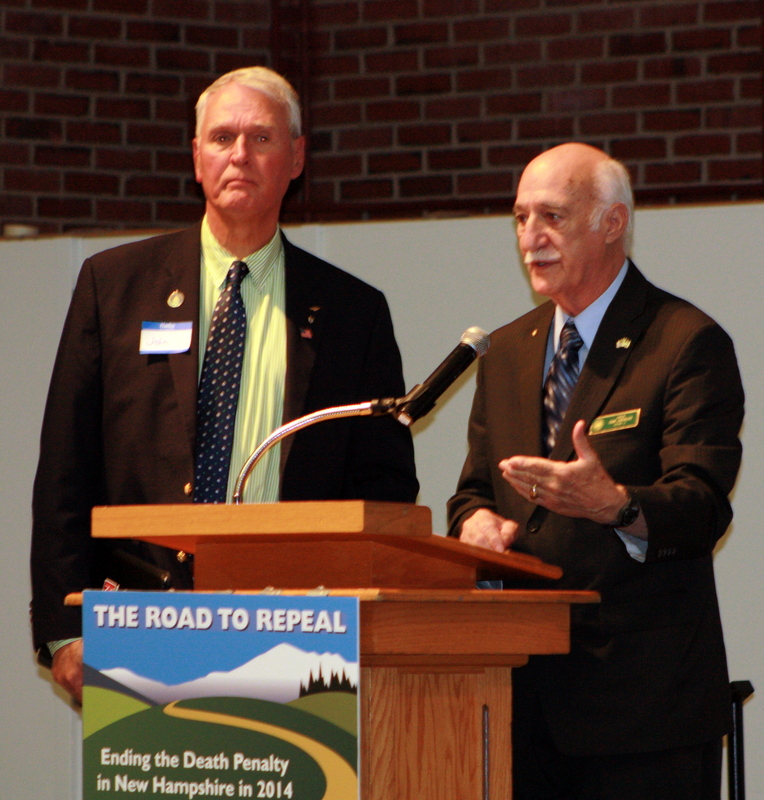 Cushing was joined by two Republicans who are co-sponsoring the bill in NH, Senator Sam Cataldo and Representative John Cebrowski, who spoke strongly and eloquently about why they support repeal. 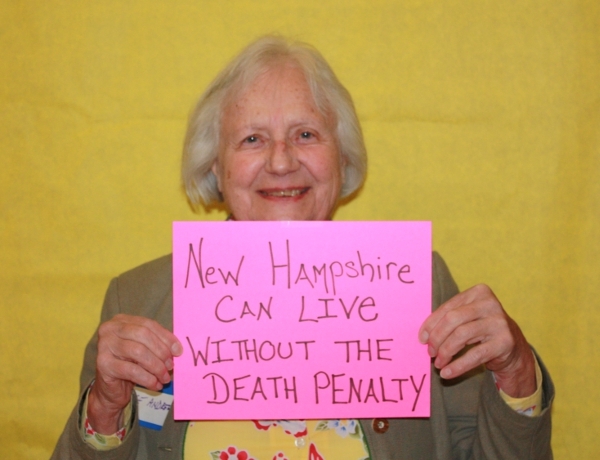 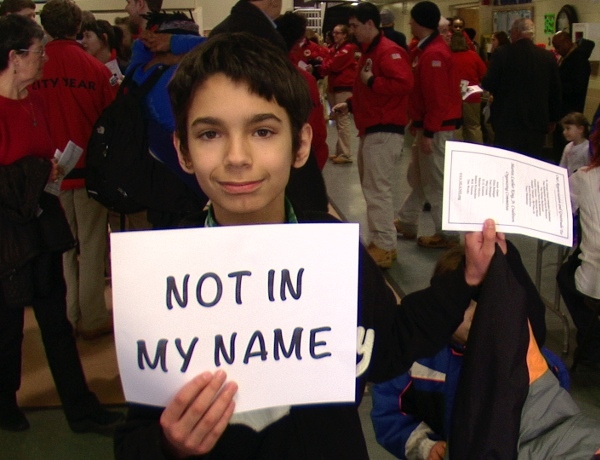 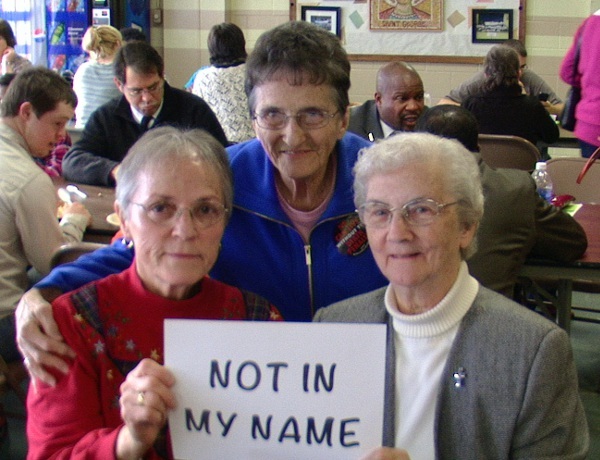 They also offered helpful advice for NH citizens reaching out to their legislators, emphasizing that they should write original, personalized and short emails or letters and avoid canned talking points. 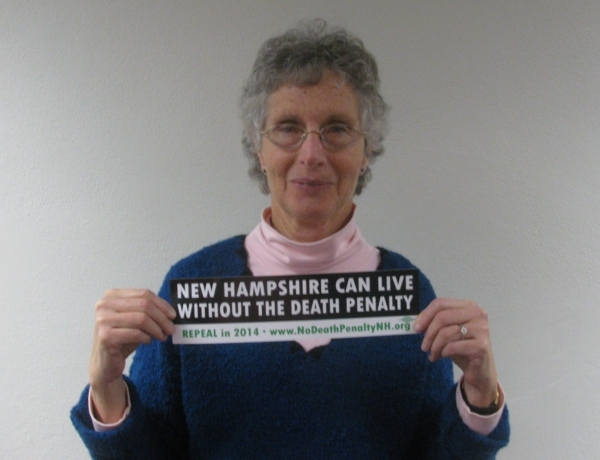 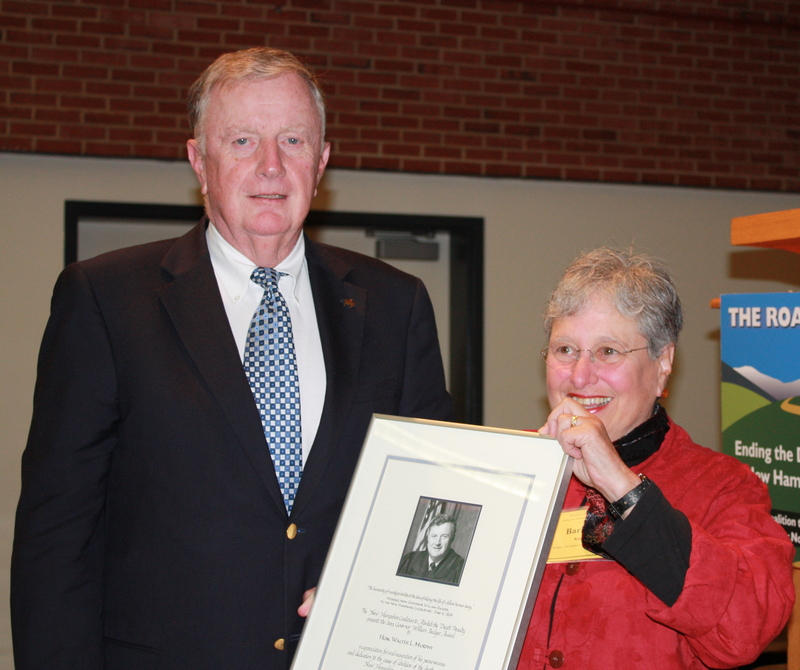 NHCADP Board Chair Barbara Keshen presented The Governor Badger Award to former NH Superior Court Judge Walter L. Murphy for his contribution to efforts to abolish the death penalty in New Hampshire. 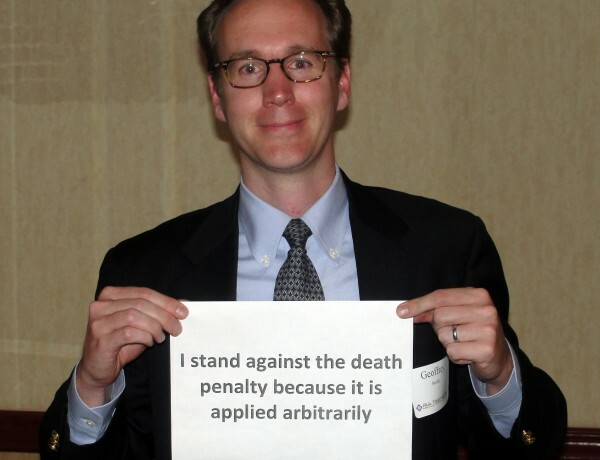 Keshen lauded Murphy’s pragmatic decisions on the bench, and a courageous ruling finding the death penalty unconstitutional in a capital case. 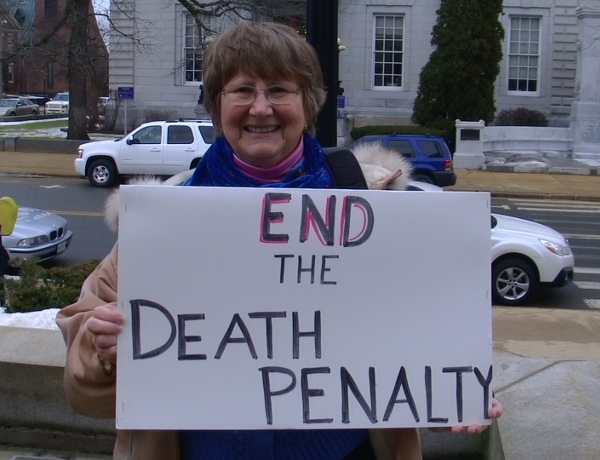 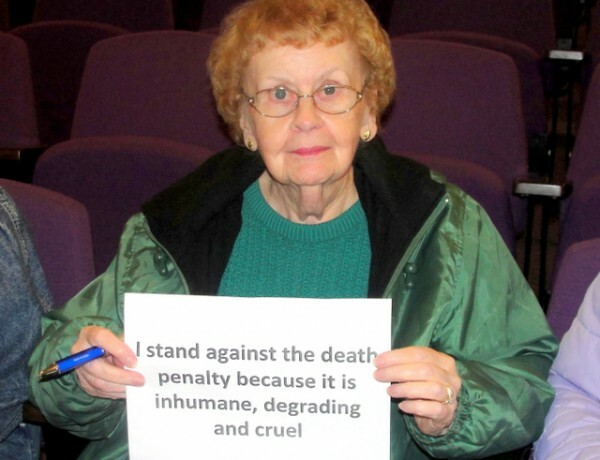 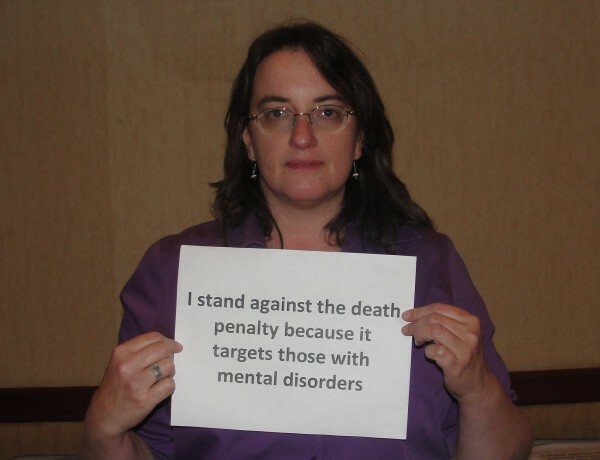 Murphy chaired the NH Death Penalty Study Commission in 2009-10. 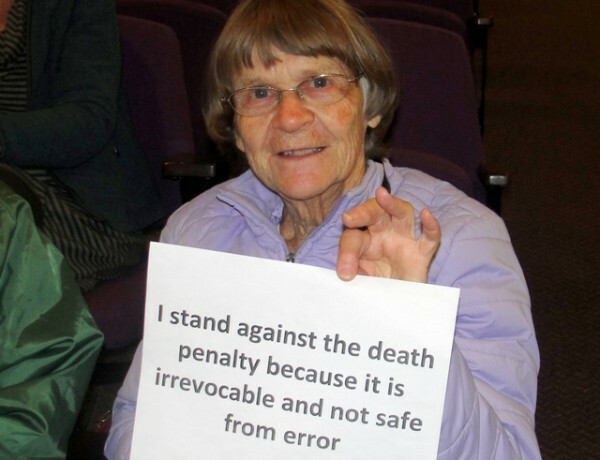 Though the Commission’s vote came out narrowly against repealing the death penalty in NH, Murphy said he thought those voting against were wrong and that they had willfully ignored the evidence and testimony of over 70 witnesses heard during the study. 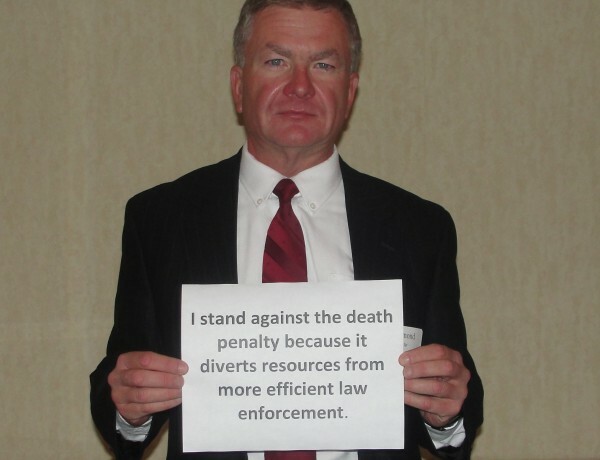 The event featured keynote speaker Kirk Bloodsworth, Director of Advocacy of Witness to Innocence. 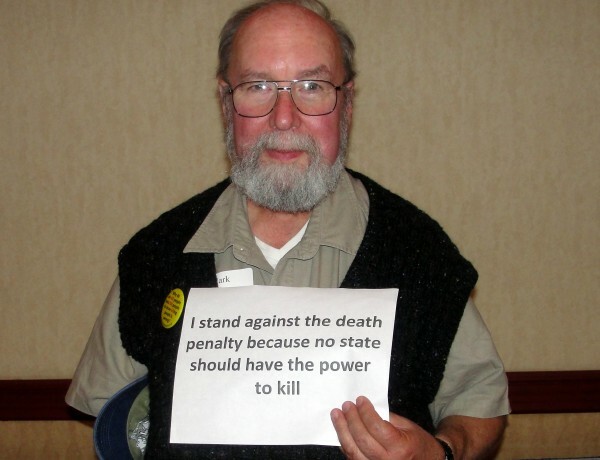 Kirk was sent to death row in March of 1985 for the murder and sexual assault of a nine year old girl. 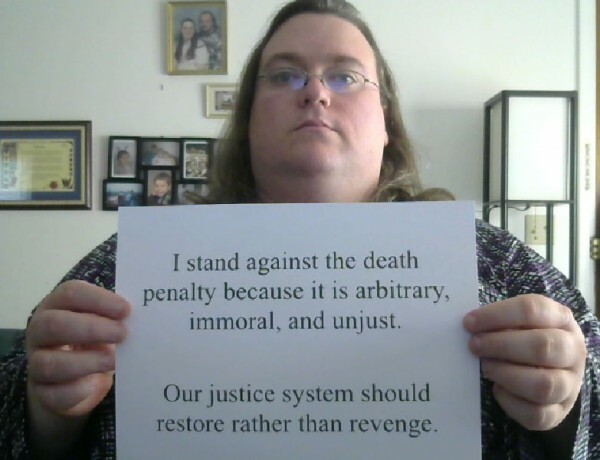 But he was innocent. 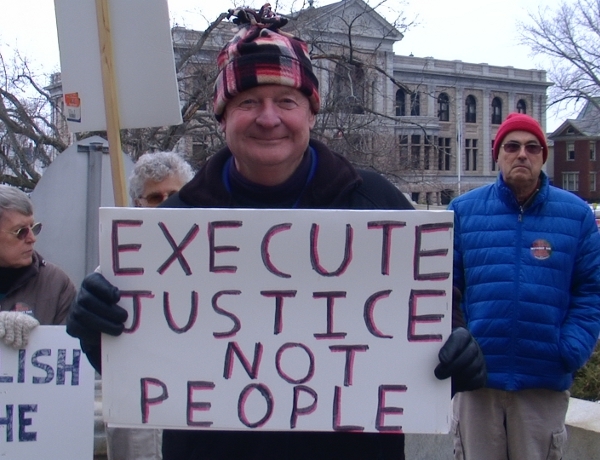 DNA testing exonerated him — he was the first person to be freed based on DNA evidence — and Kirk was released from prison and pardoned in 1993. 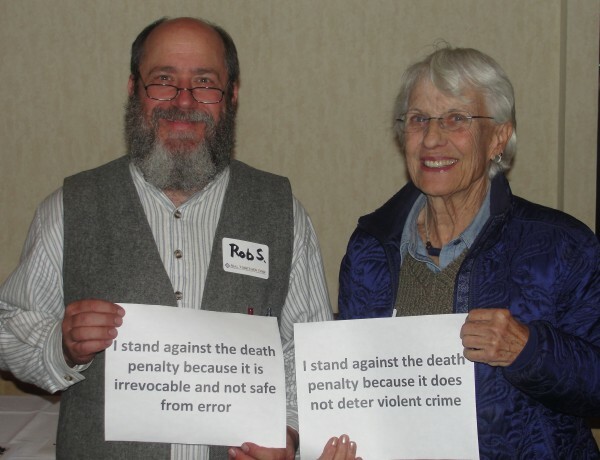 Kirk’s story of wrongful conviction, botched police work and evidence handling, and 9 years in prison had a profound impact on everyone in the room. 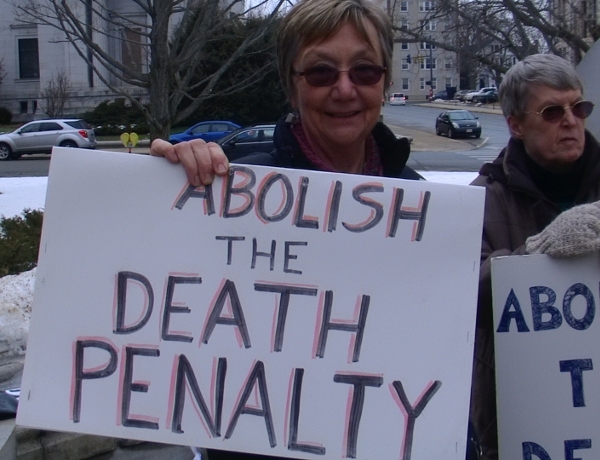 A movie about Kirk’s journey, Bloodsworth: An Innocent Man, is due to be released in January. 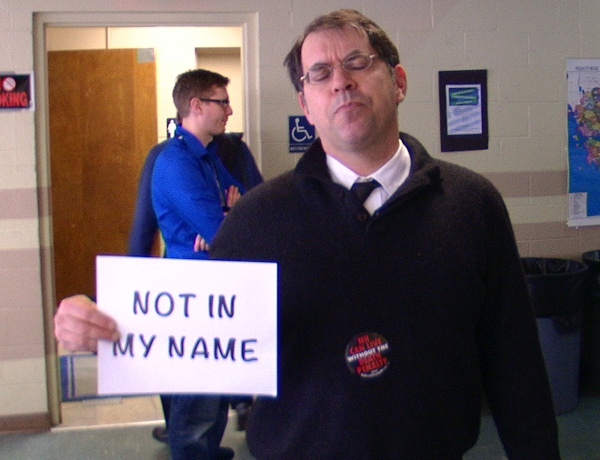 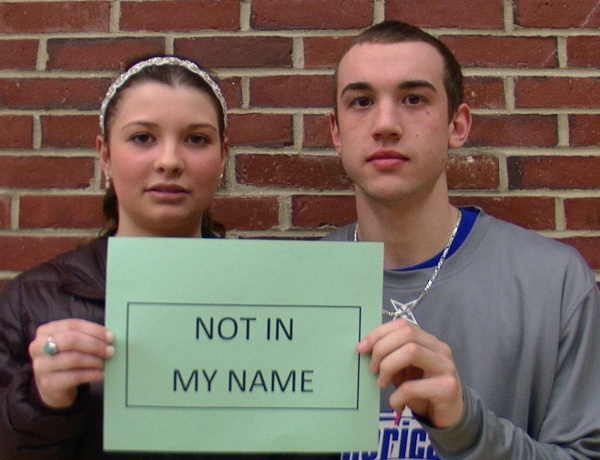 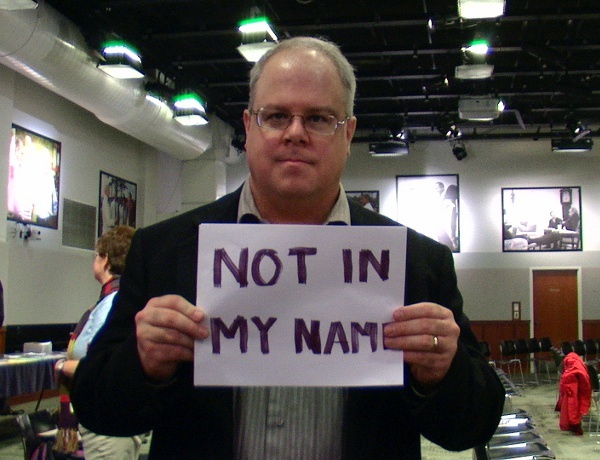 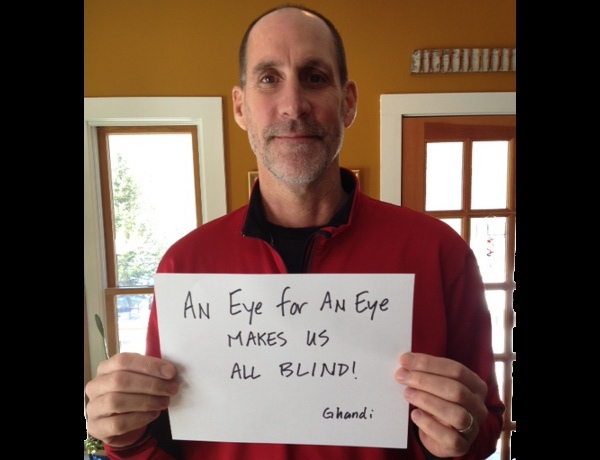 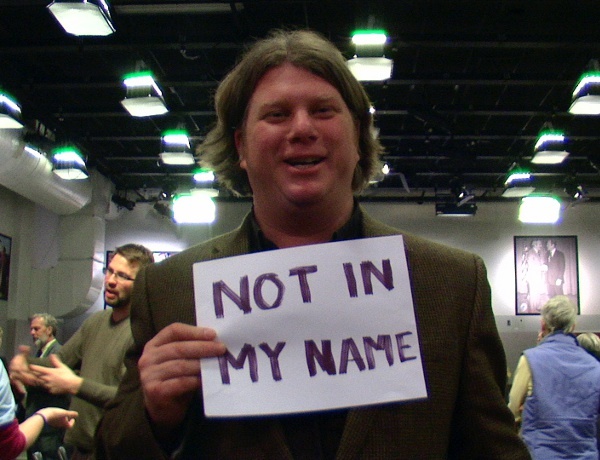 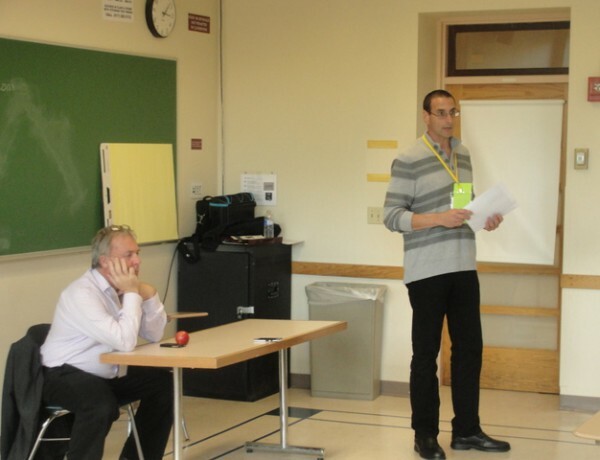 Watch Kirk’s UNH presentation here. 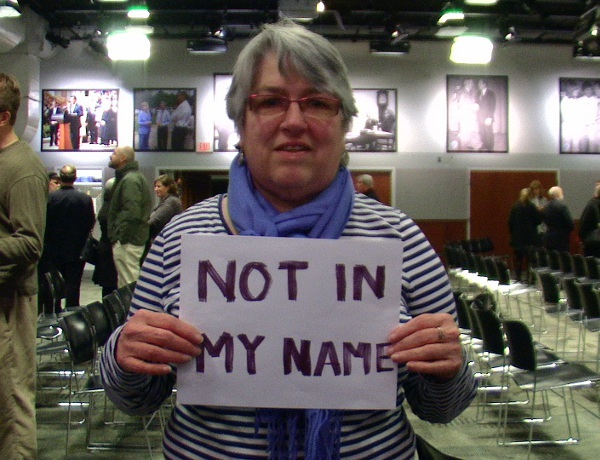 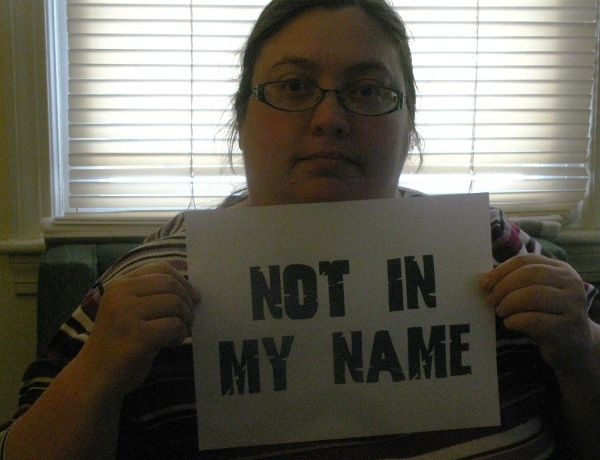 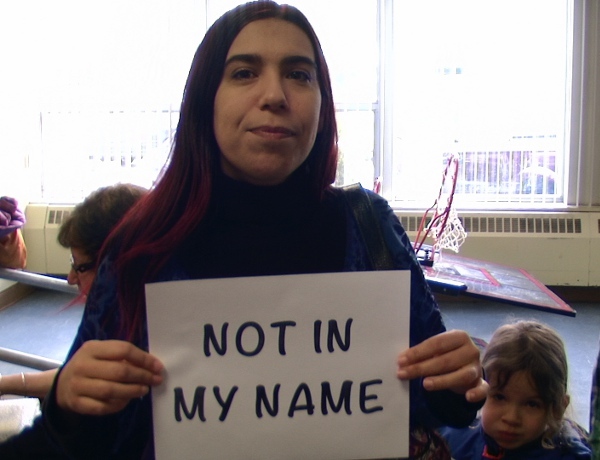 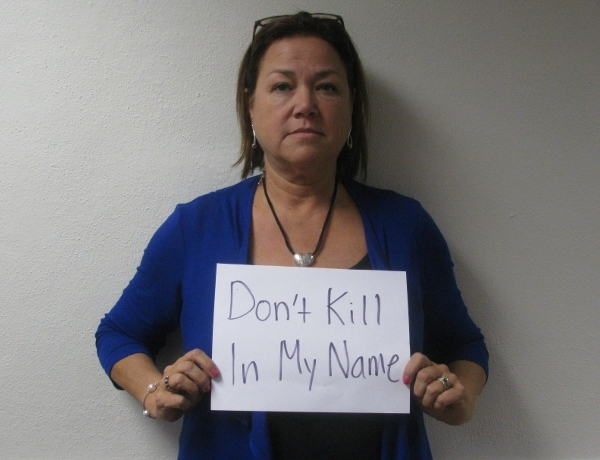 Mona Cadena of Equal Justice USA also spoke at the event. 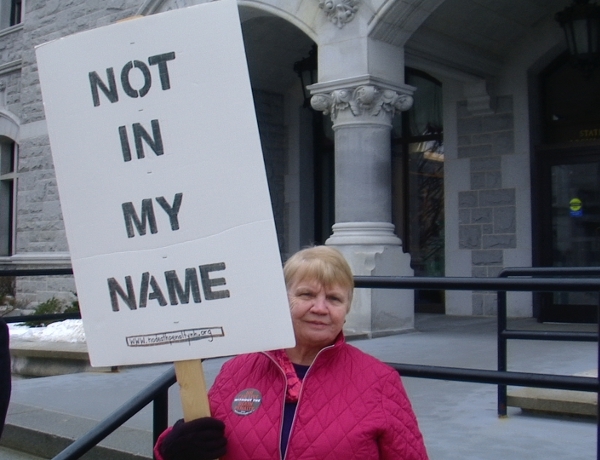 She shared her recent experience of supporting the successful repeal efforts in Maryland (signed into law this year), and her longer-term efforts in other states around the country. 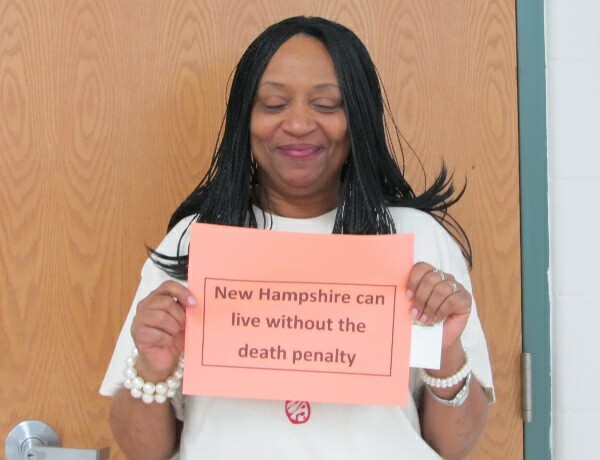 Mona and EJUSA have been a helpful resource to NHCADP as we have gotten our program off the ground over the past several months. 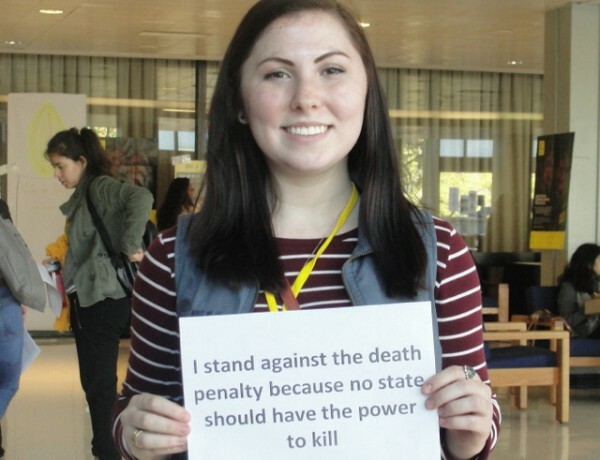 We would like to extend our gratitude to Hannah Waller and the members of the Amnesty International UNH Student Group, and to Cynthia Gabriel Walsh of Amnesty International USA, for their leadership in making this event a success.